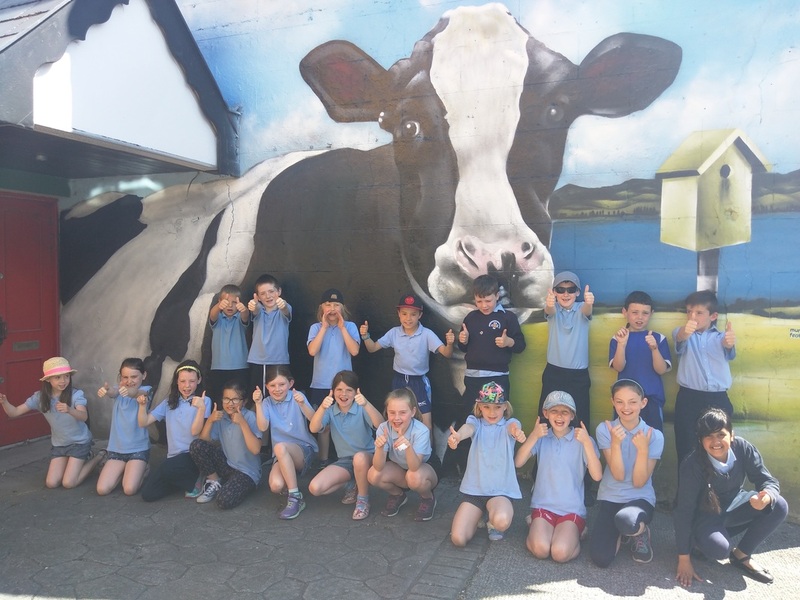 Small Towns - Big Ideas! During the Galway 2020 bid in 2016, Headford was part of the "Small Towns - Big Ideas" pilot project, called "The Nesting Lark". 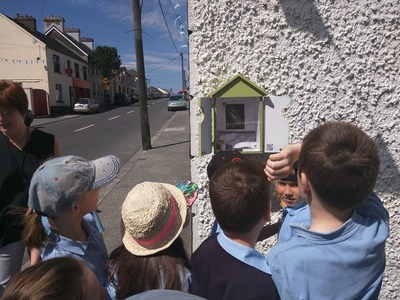 Our school participated in the birdboxes that were placed all around the town. 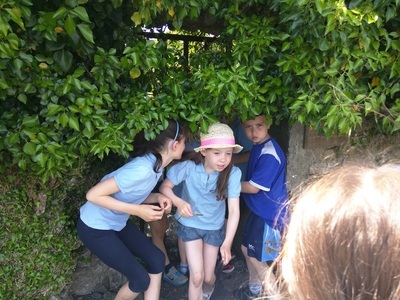 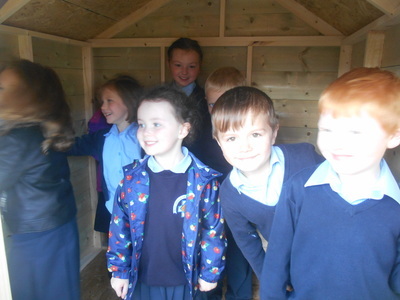 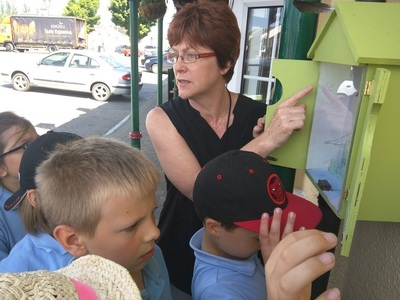 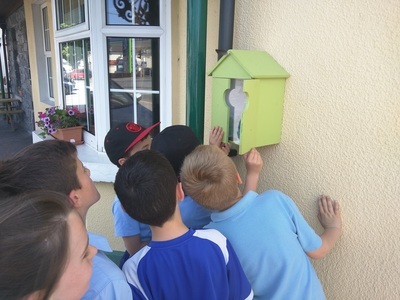 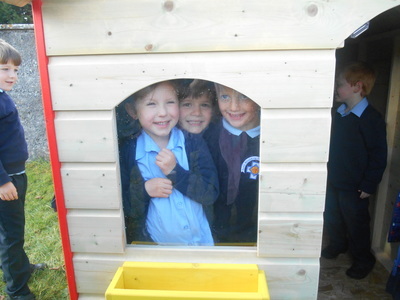 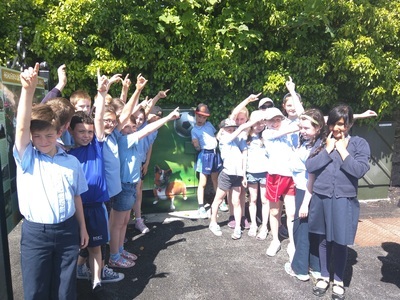 Pupils in the school designed web pages to hide inside the birdboxes. 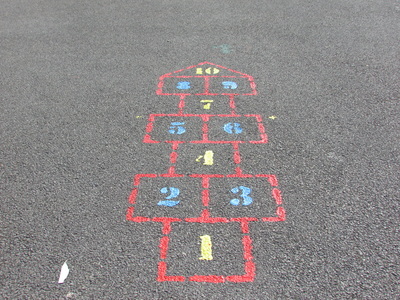 You can find the links here now! 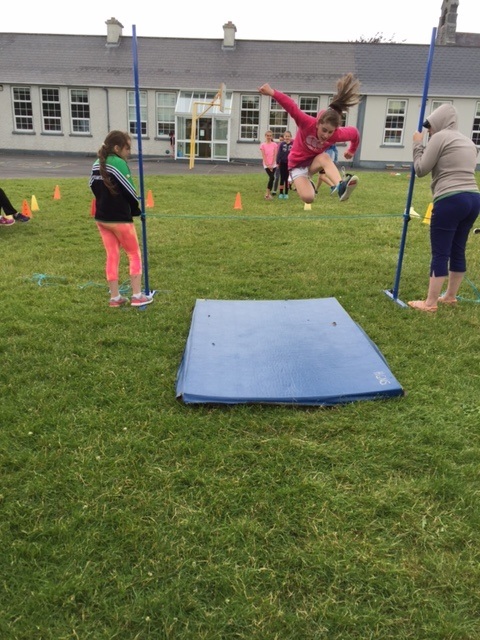 We are now on Instagram @headfordgirls_ns - come check out our photos! 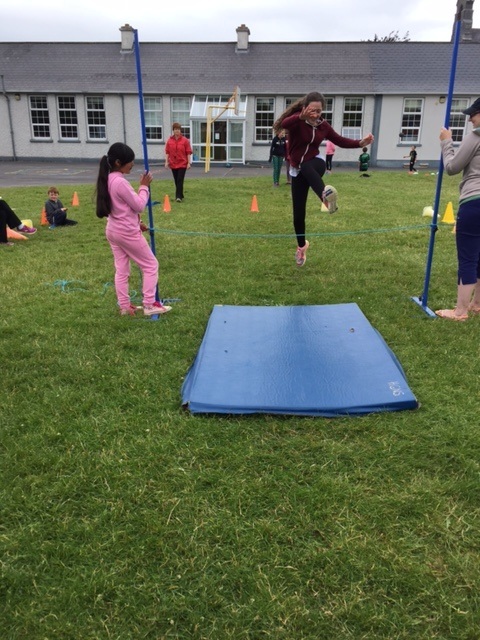 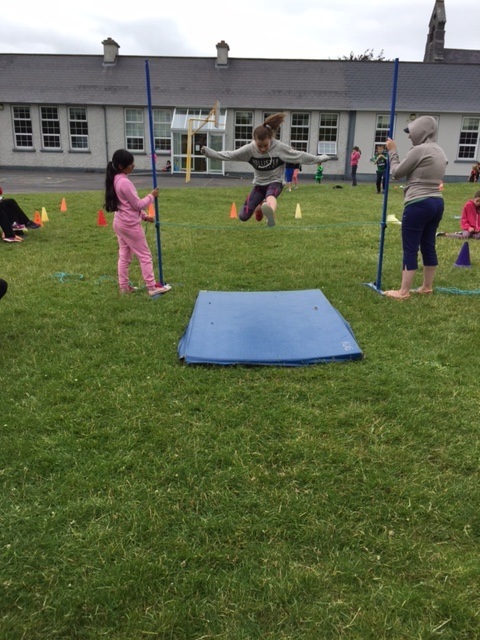 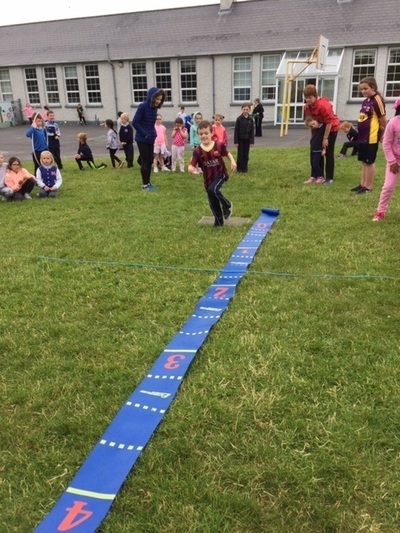 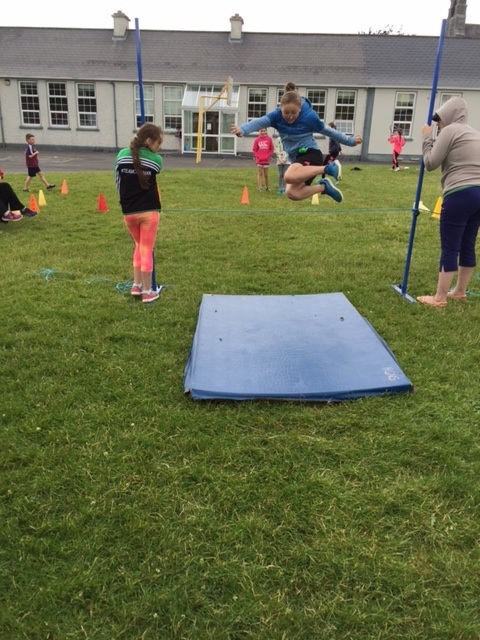 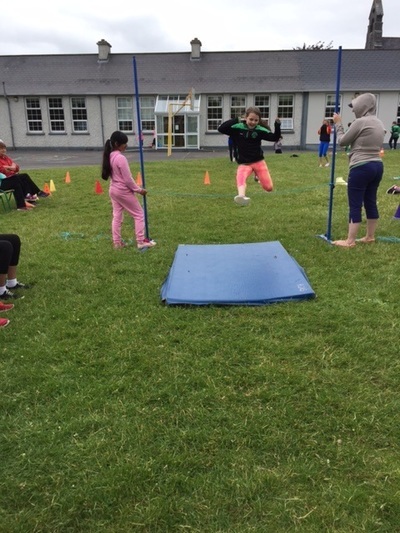 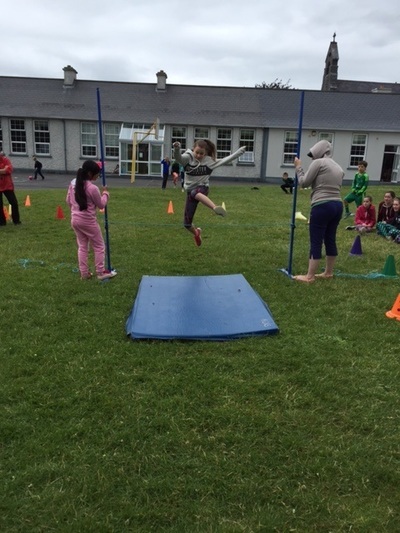 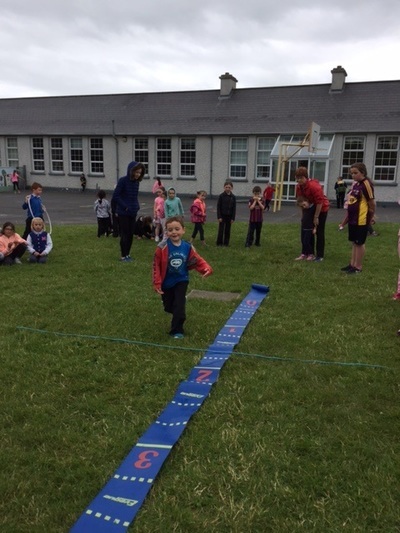 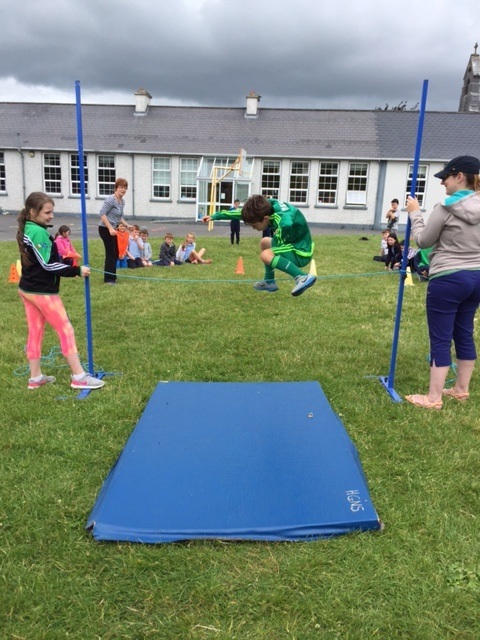 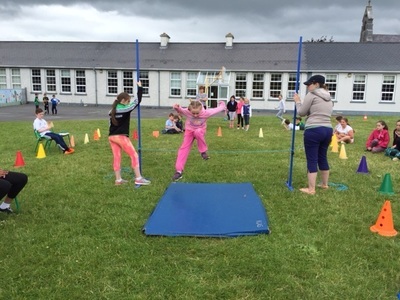 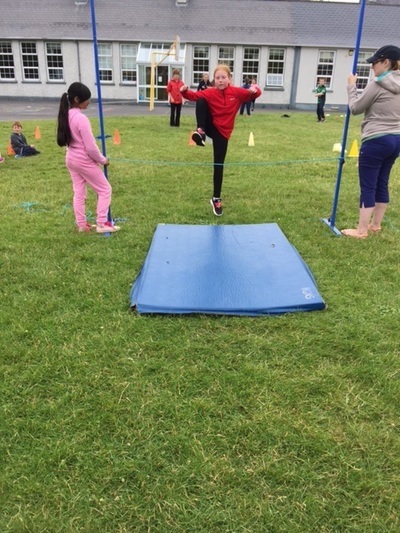 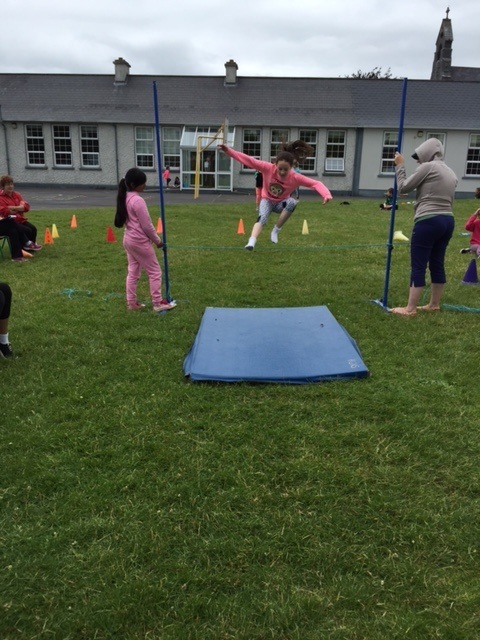 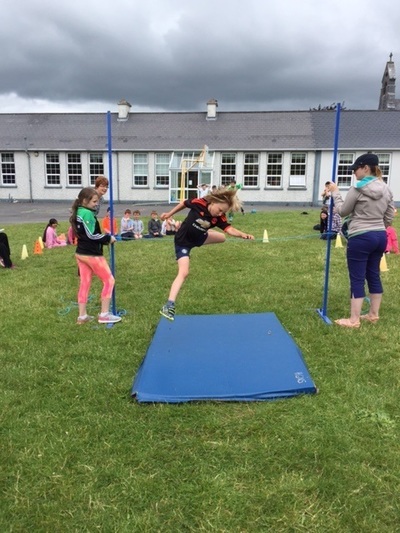 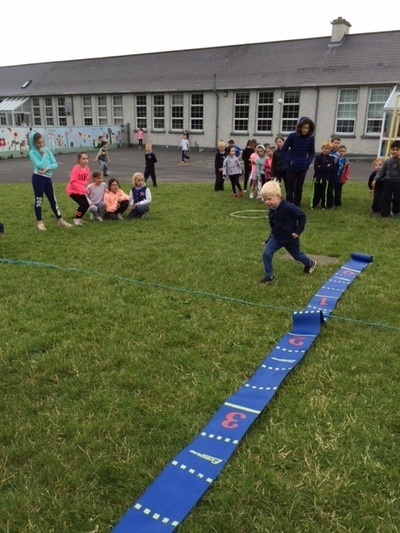 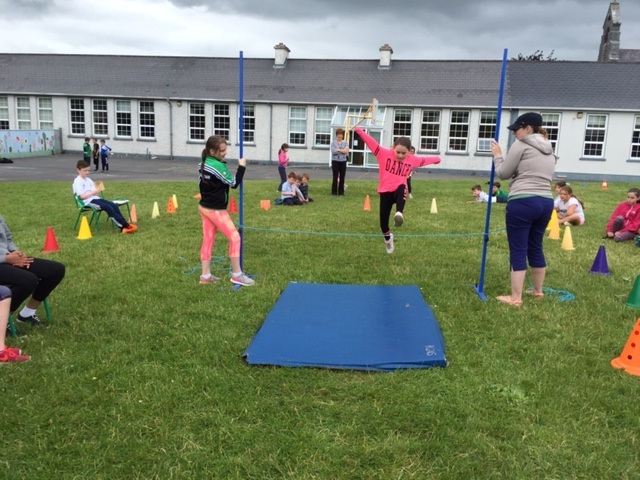 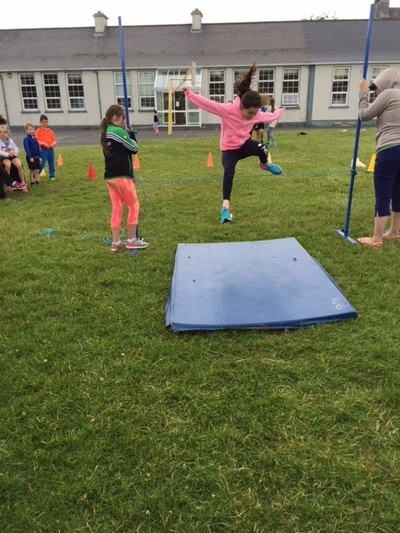 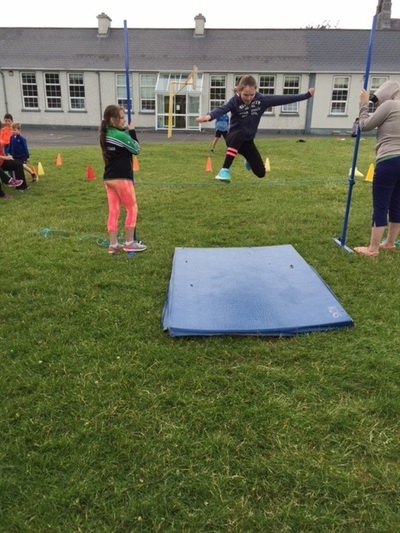 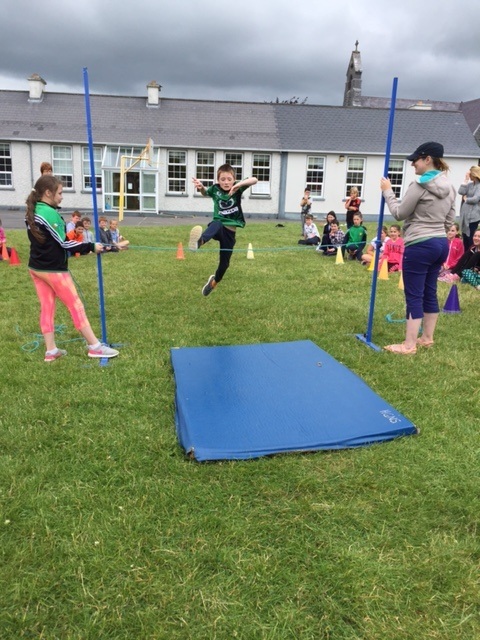 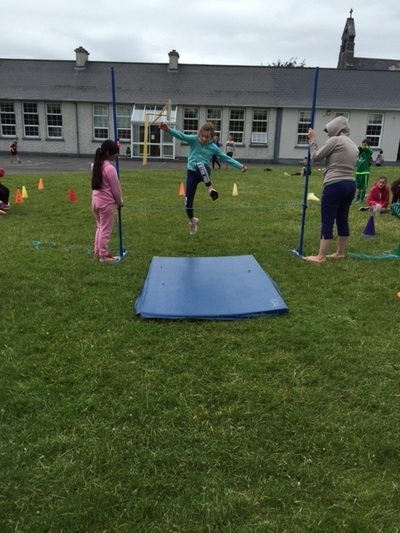 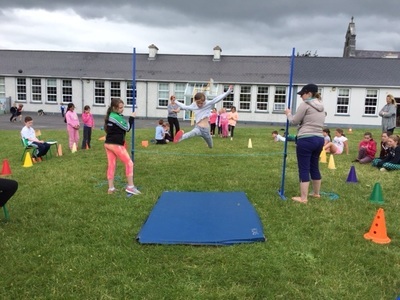 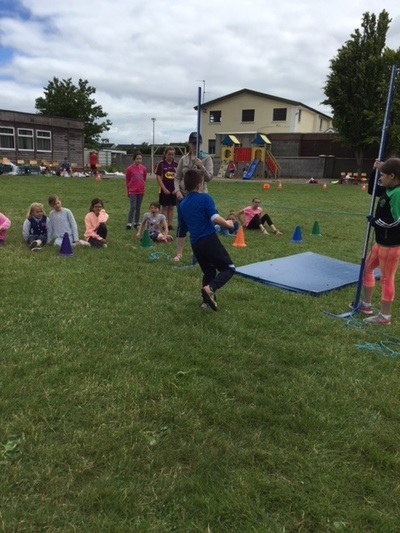 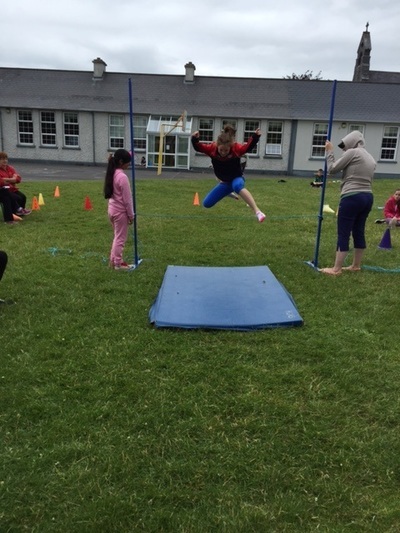 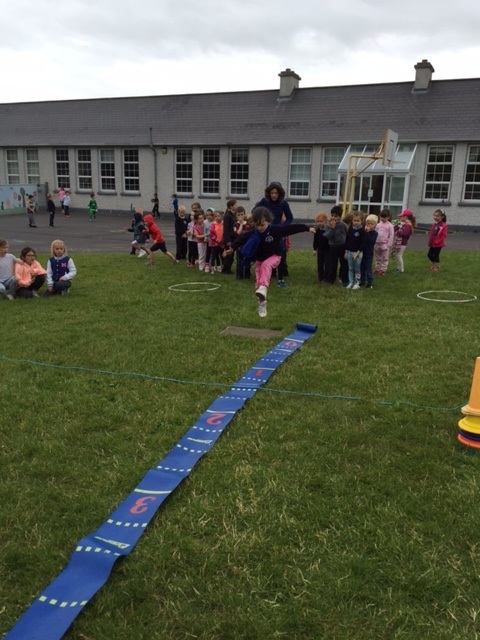 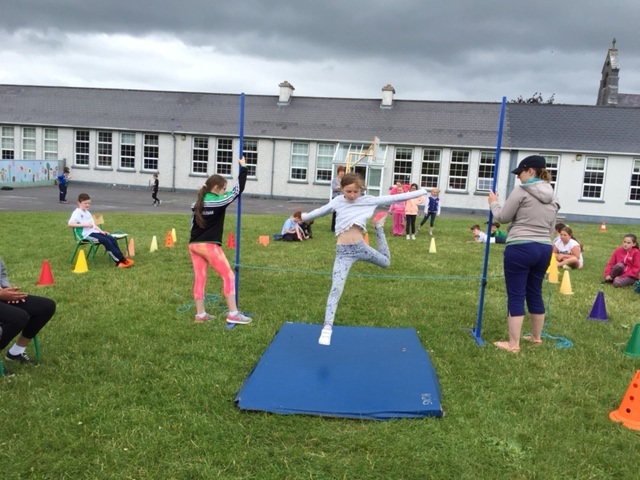 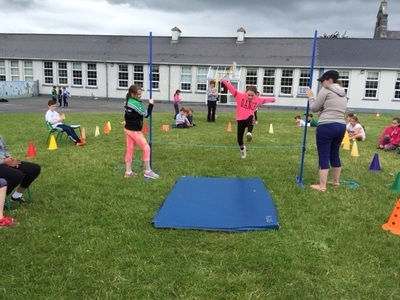 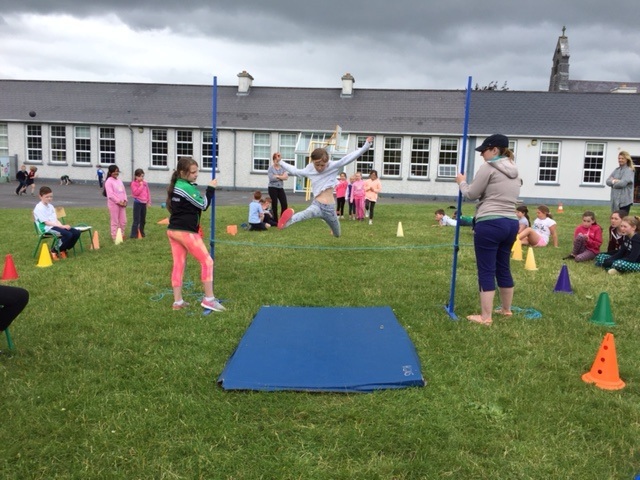 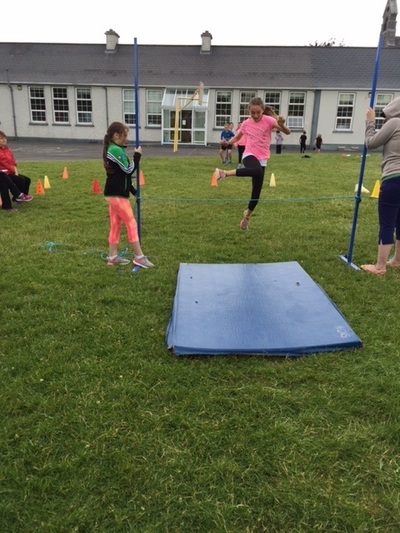 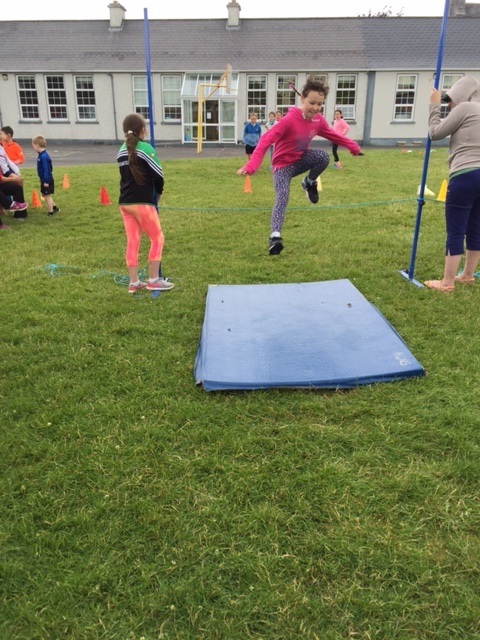 Here is a gallery of some of the events from Sports Day 2016! 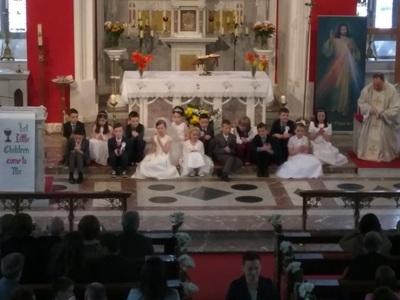 See if you can spot anyone you know! 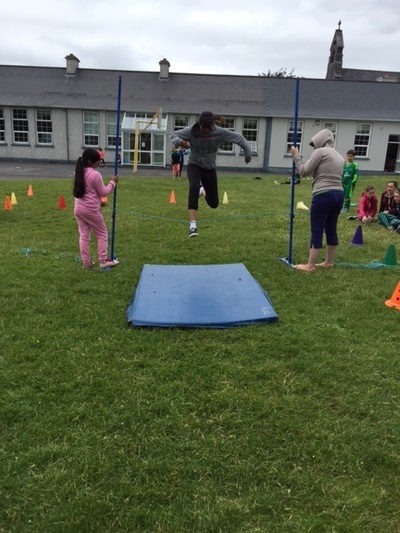 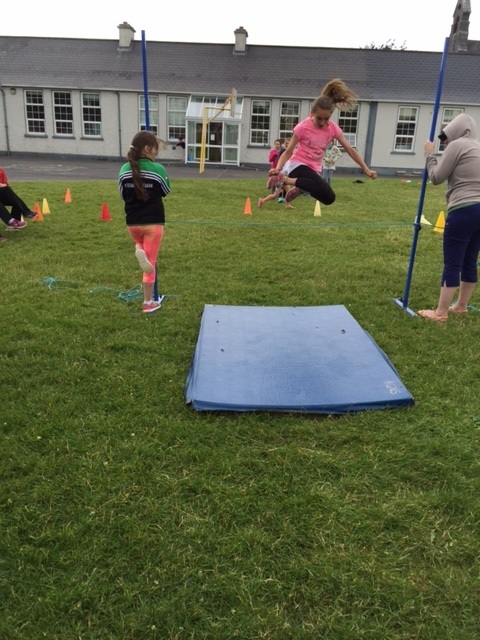 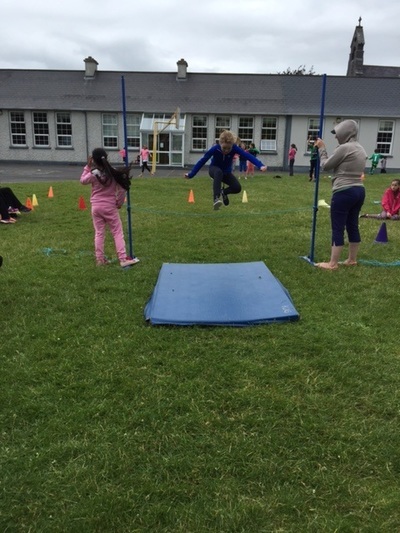 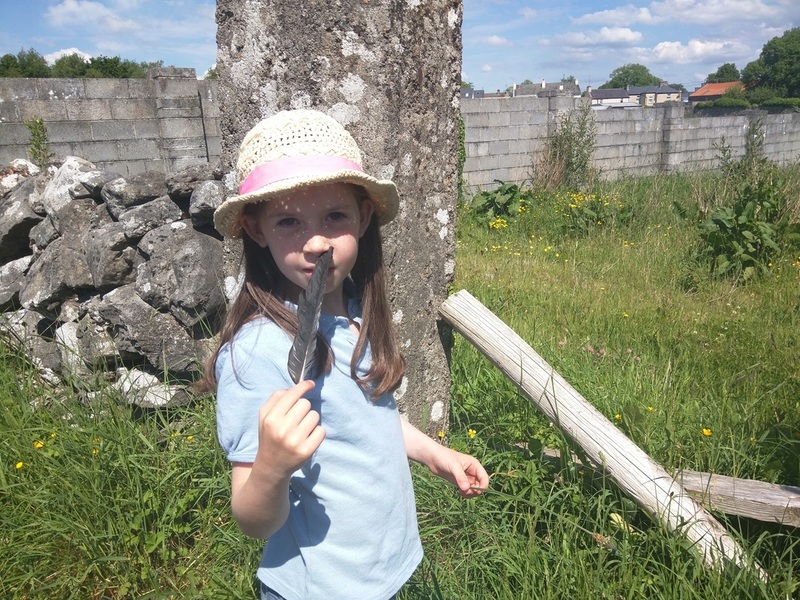 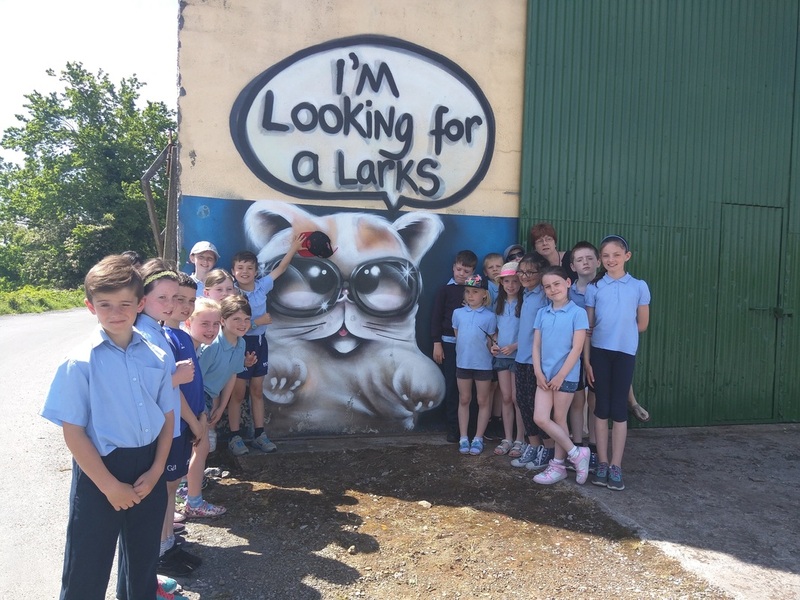 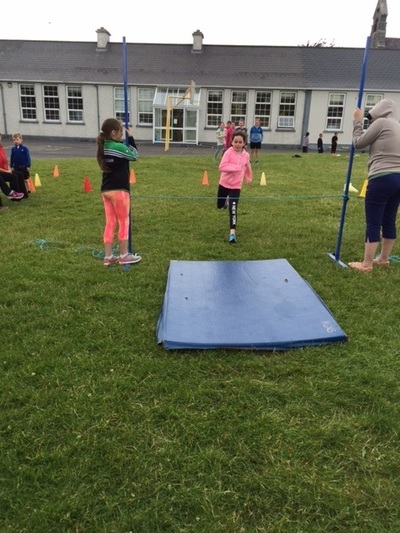 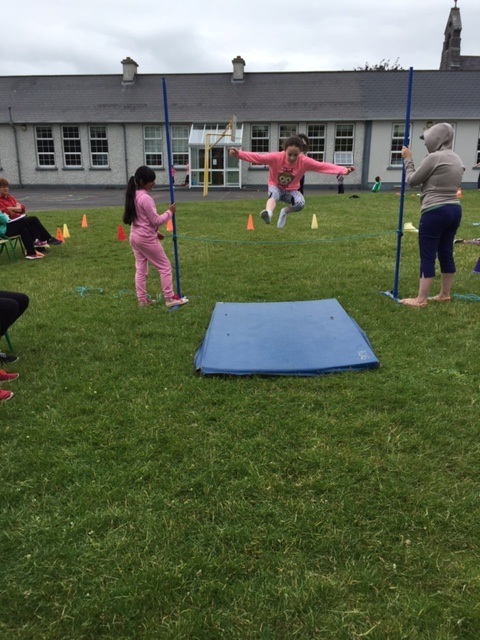 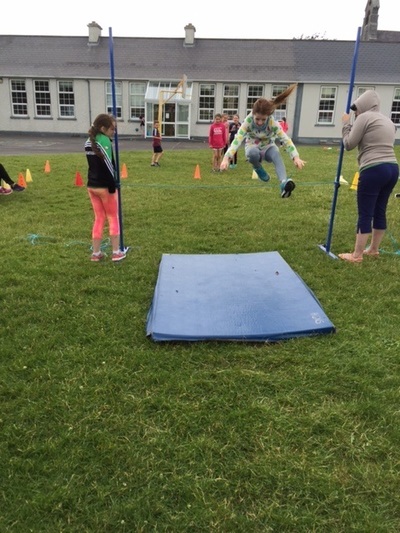 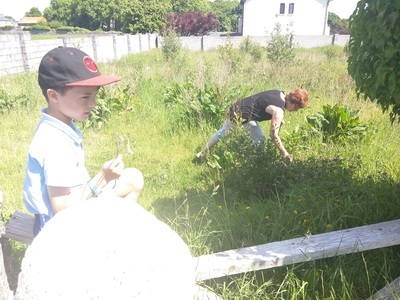 During May 25th to 29th in Headford was the event "The Nesting Lark". 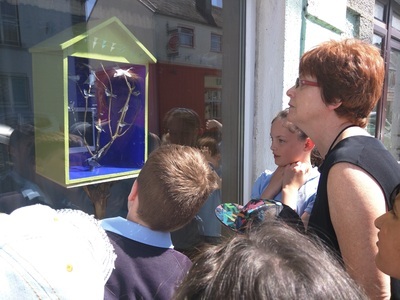 This was part of the project "Small Towns, Big Ideas", for Galway's bid to be European City of Culture 2020. 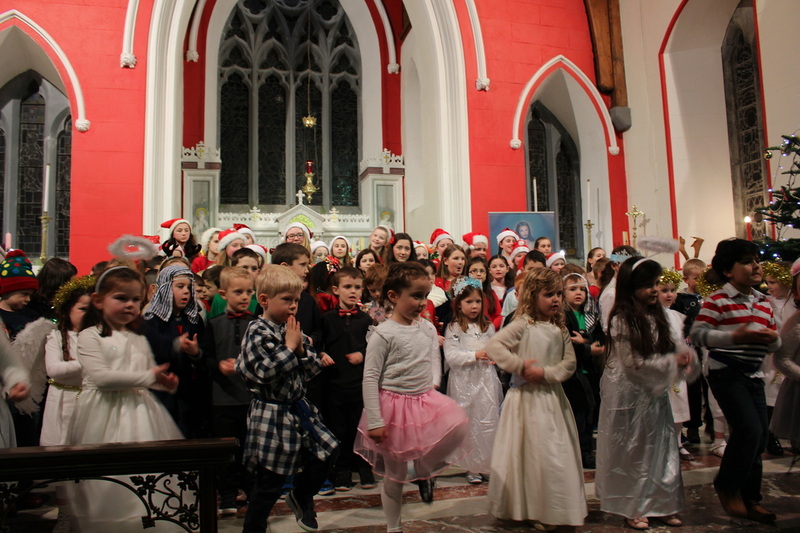 There was so much happening in the town, it was lovely! 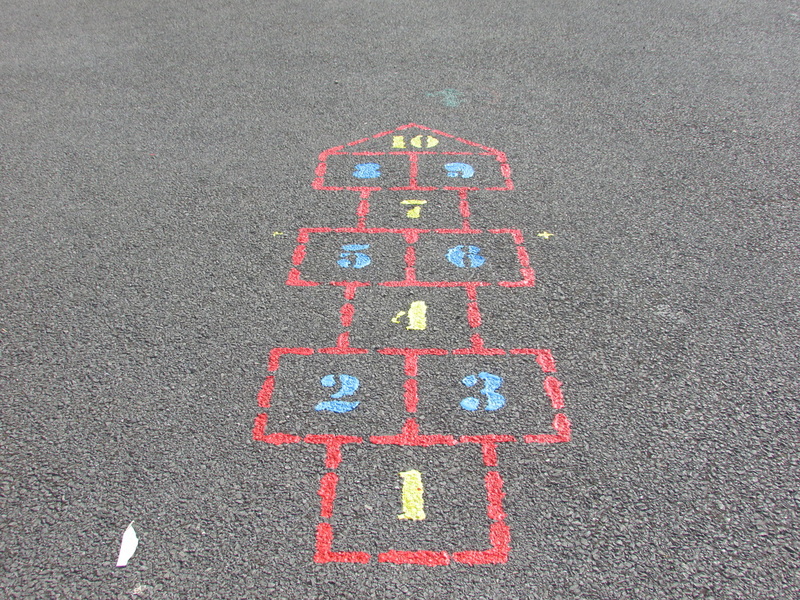 The Square was all covered in wool as part of the yarnbombing campaign. 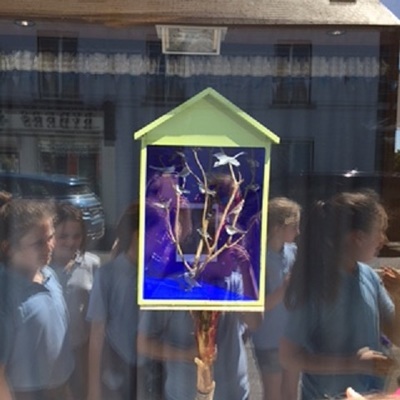 The Cottage Market on Saturday was a riot of colour. Some of us recognised our relatives, neighbours and Grannies in the "Recollect Headford" video. 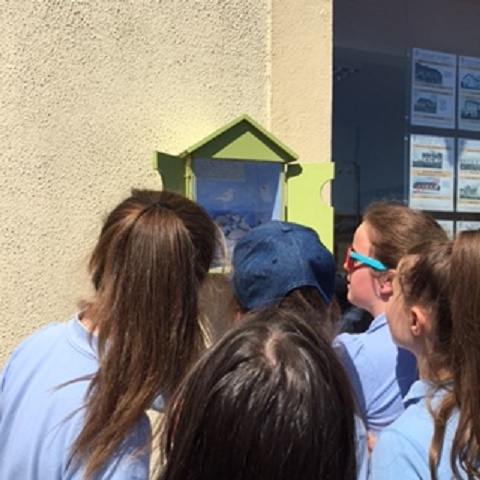 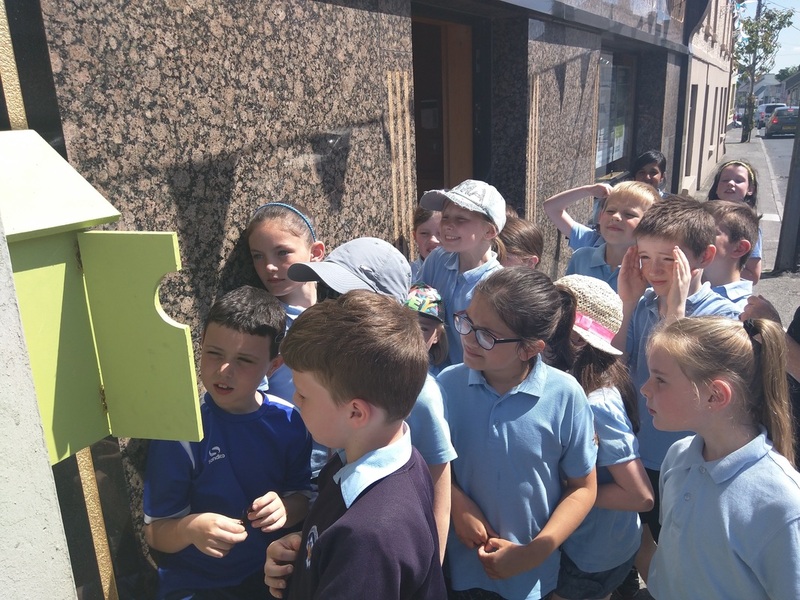 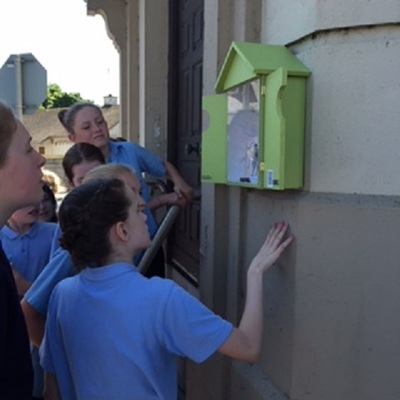 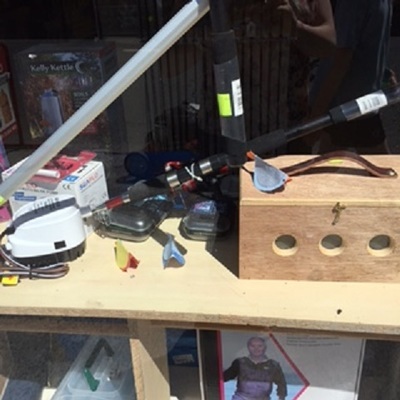 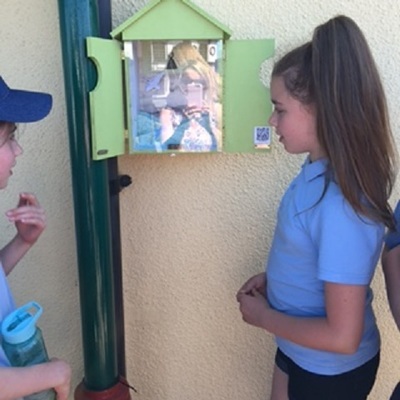 Our senior classes helped make some of the art for the discovery Bird Boxes and the little envelope birds in the windows of Headford businesses. 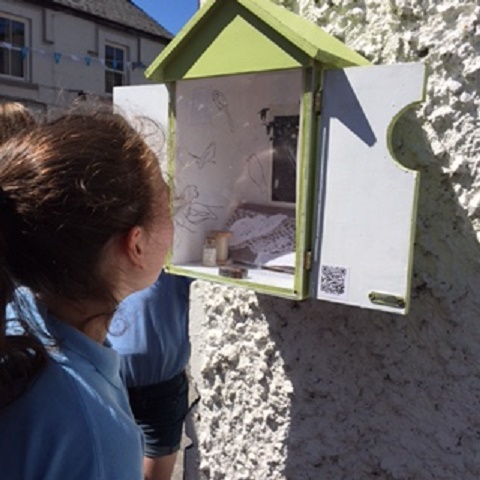 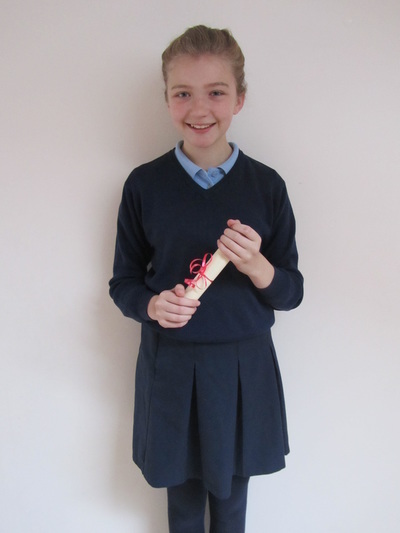 Pupils from the Resource class created the webpages that are linked to by QR codes in the bird boxes. At the launch night, we got to taste food from a variety of local producers during the "Taste of Headford" event. 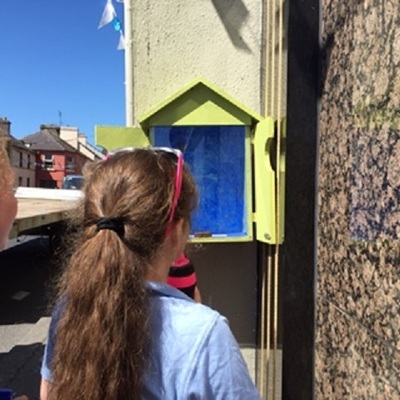 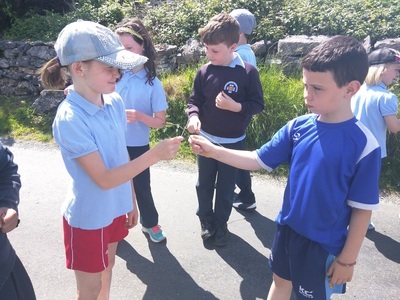 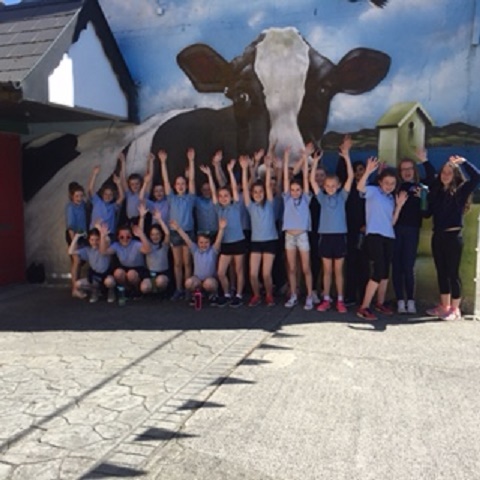 We saw the work of many other local schools in the Reflect on Headford project in our two local cafés, where they coordinated with other schools around Europe to find out what day-to-day life is like for kids in their country. 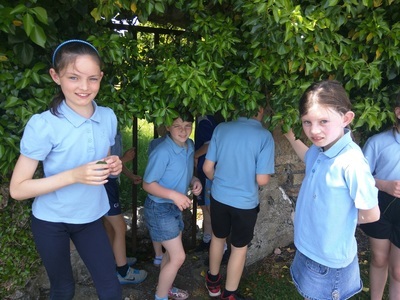 We also took in the lovely summer weather and the flowering countryside. 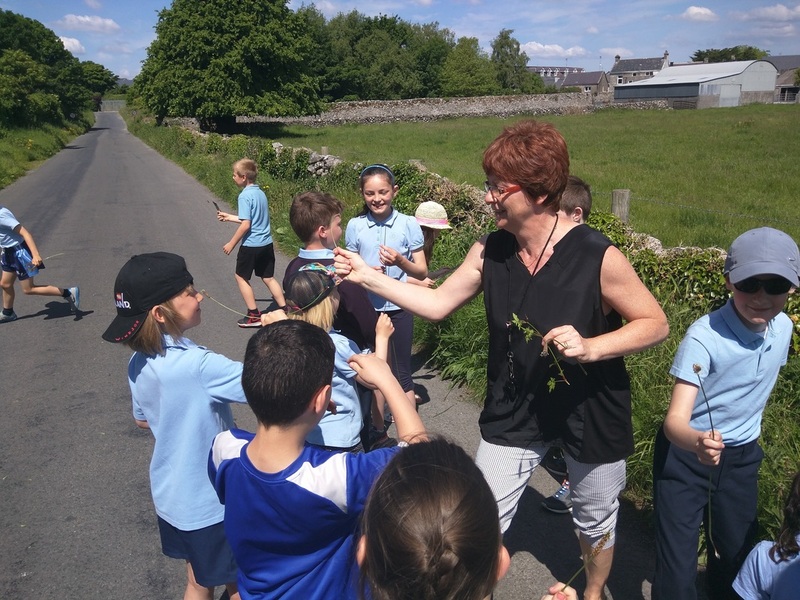 We learned the name of many of the flowers, and Mrs Garvey even showed us how to battle with "soldiers" (plantain)! 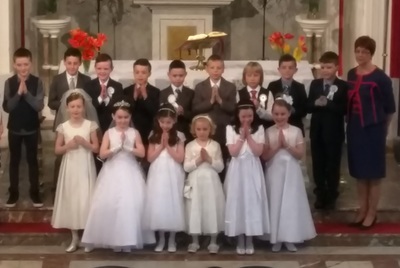 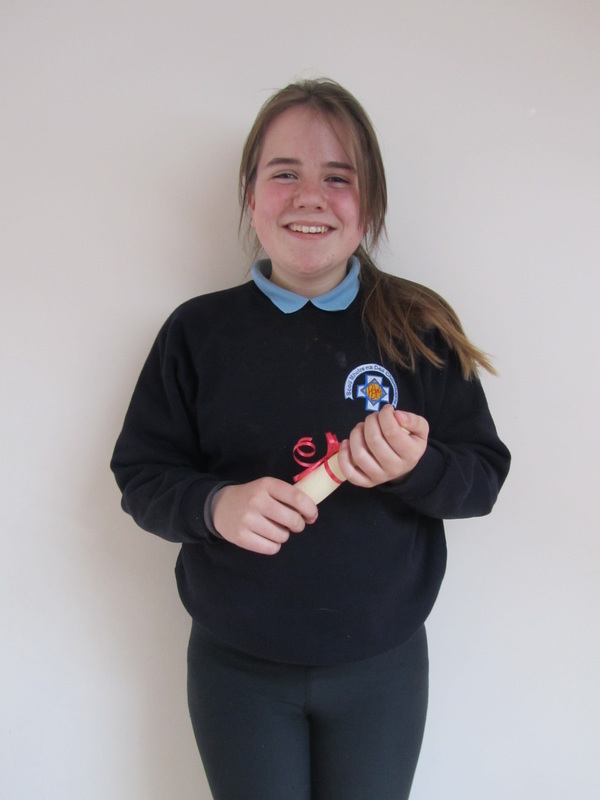 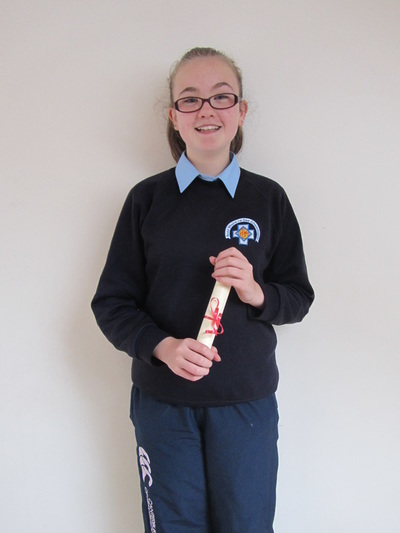 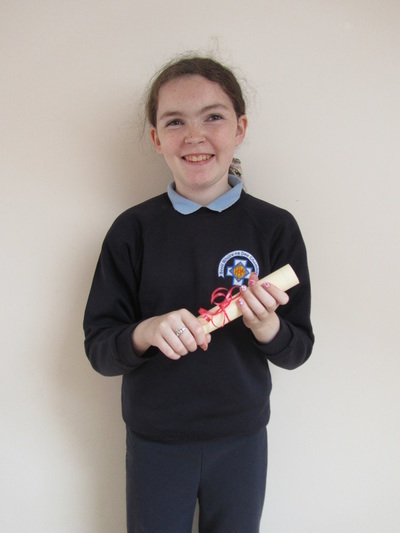 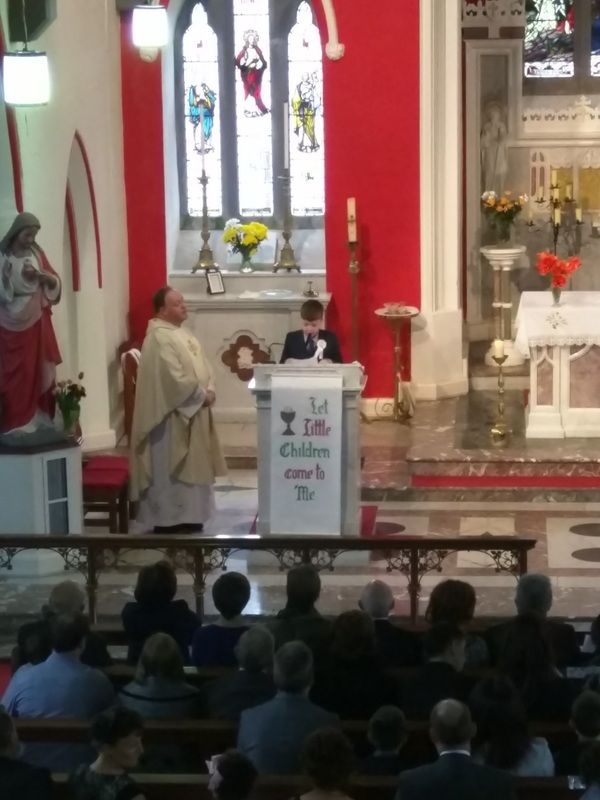 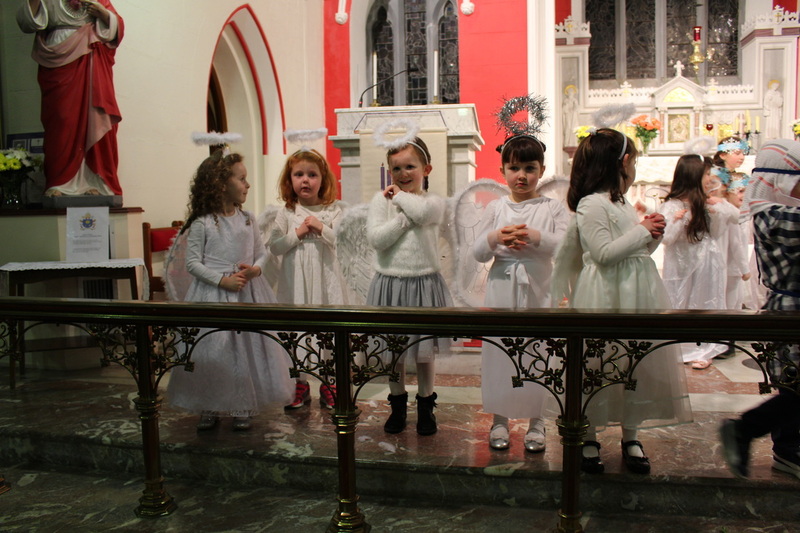 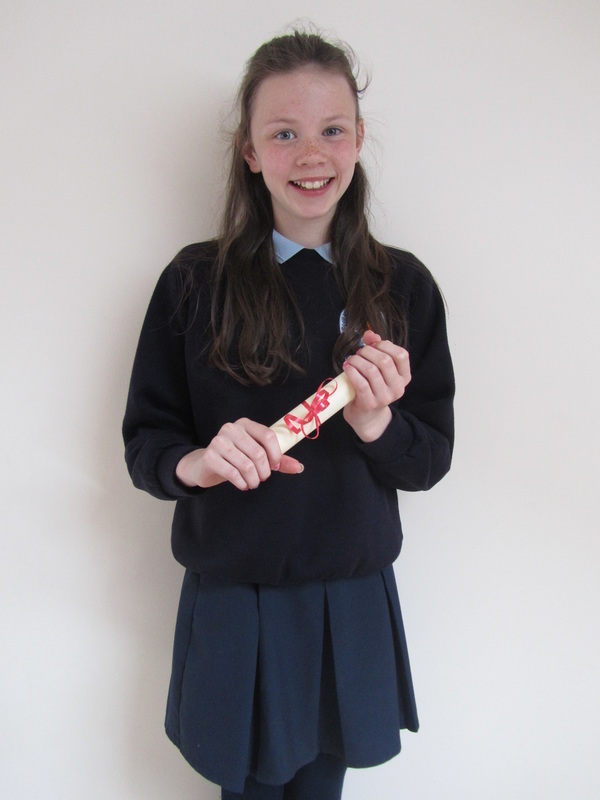 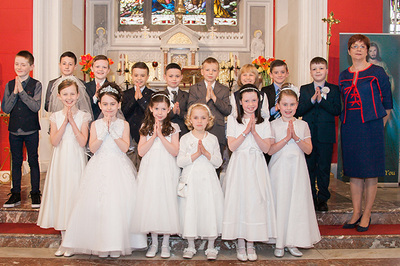 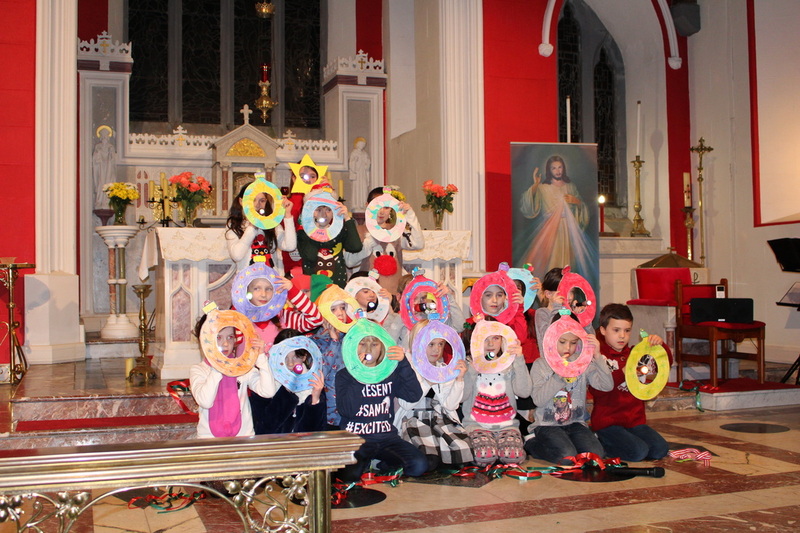 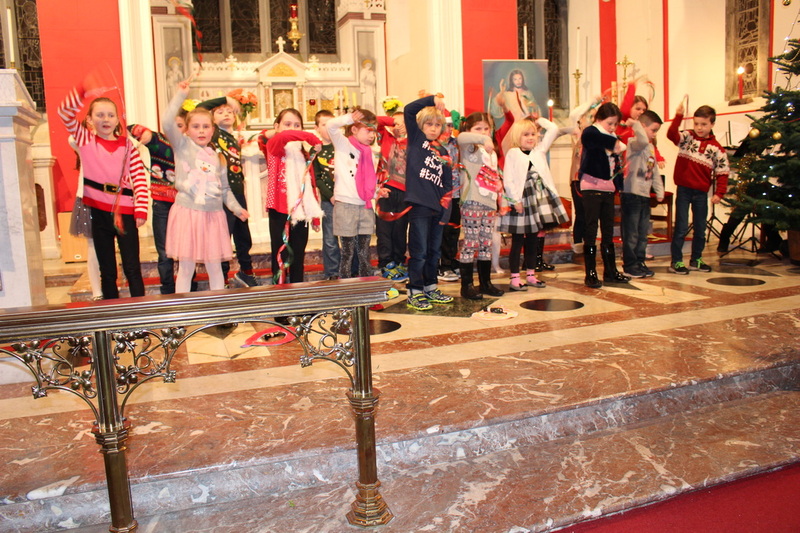 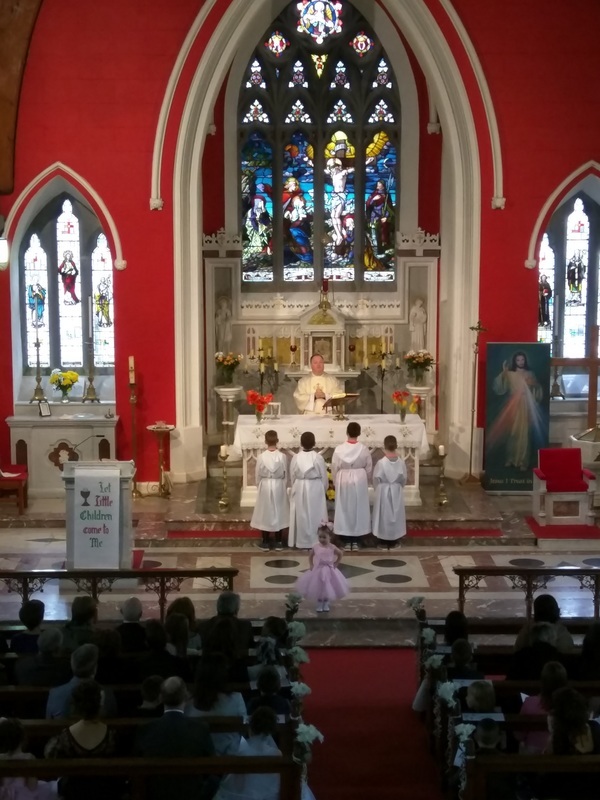 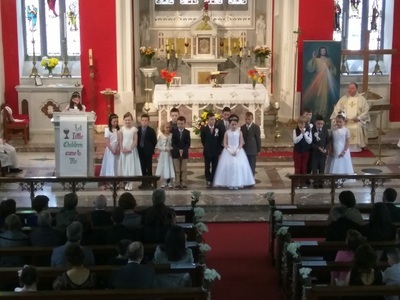 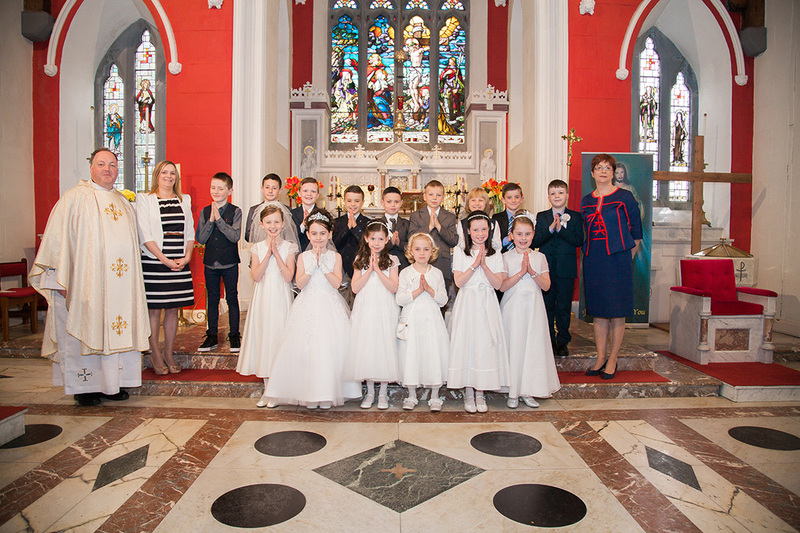 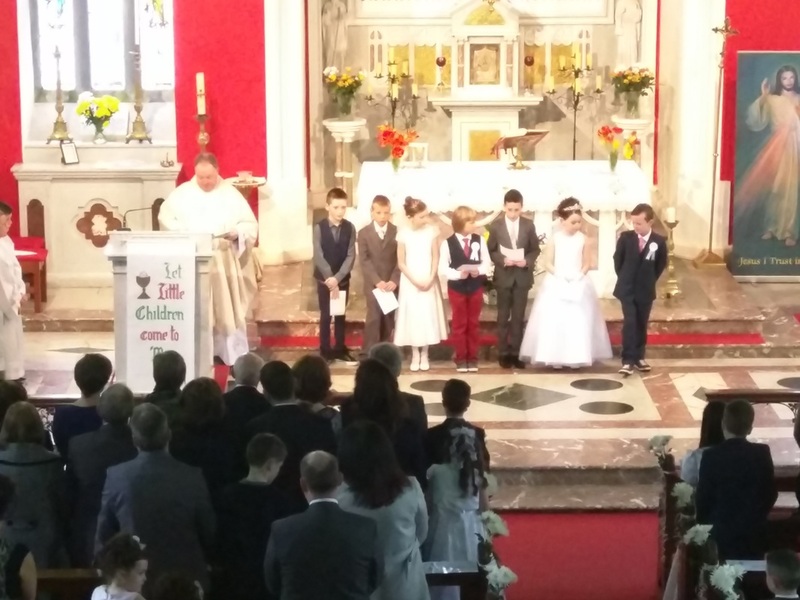 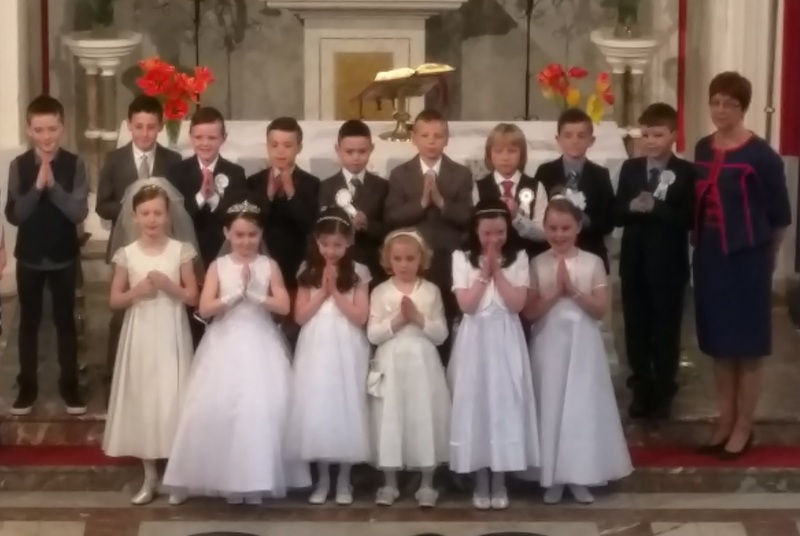 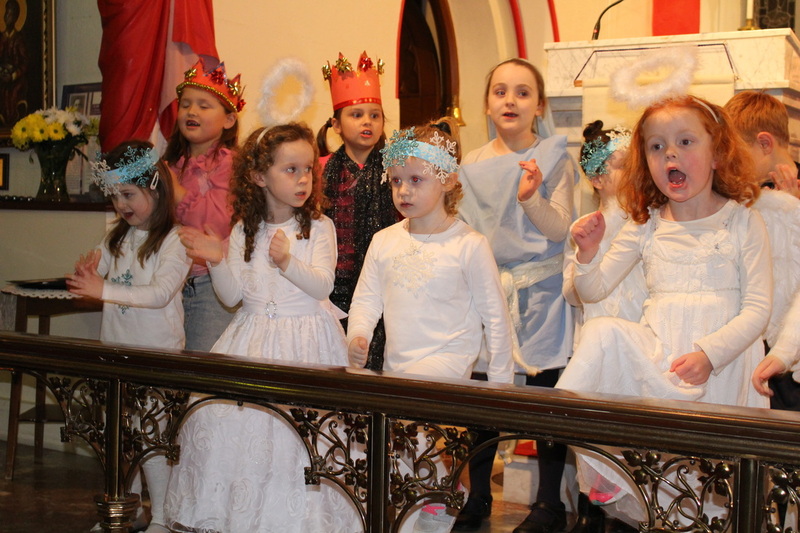 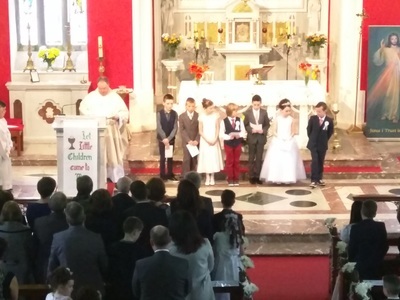 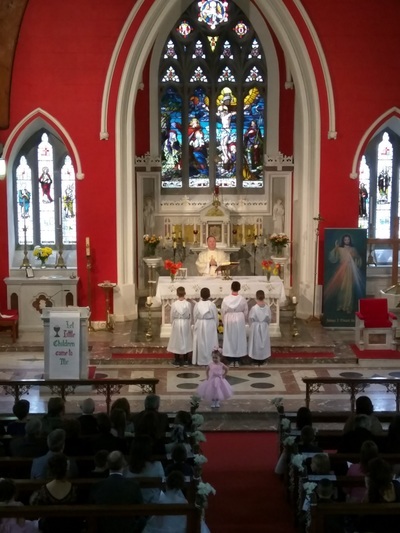 On Saturday 7th May, children from Mrs Bríd Garvey's 2nd class made their First Holy Communion. 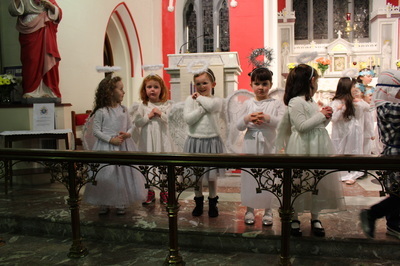 The children read and sang excellently and everyone looked wonderful! 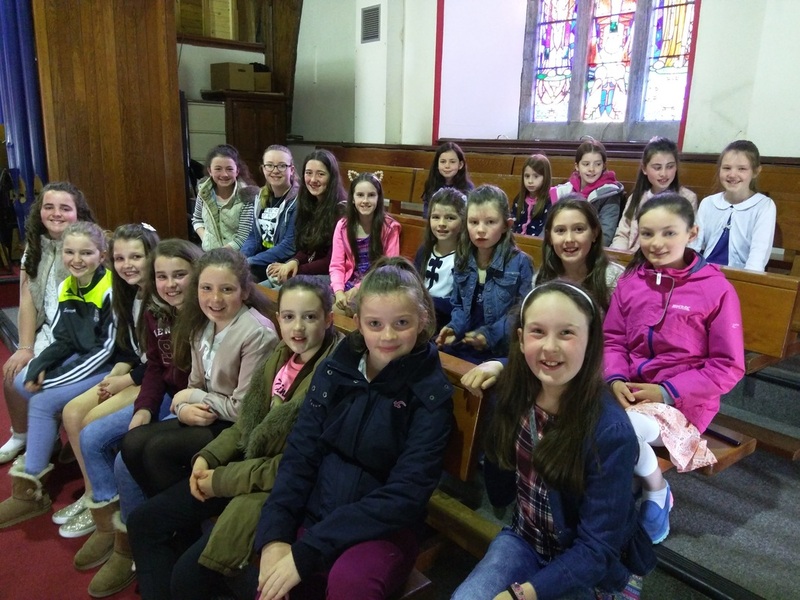 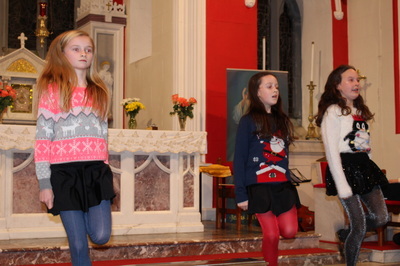 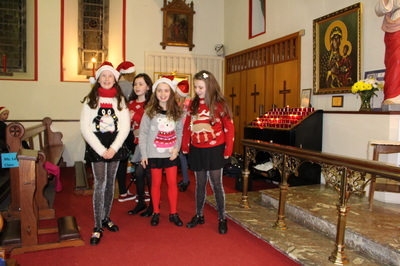 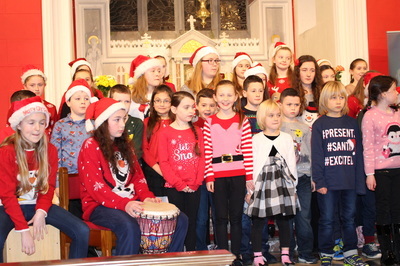 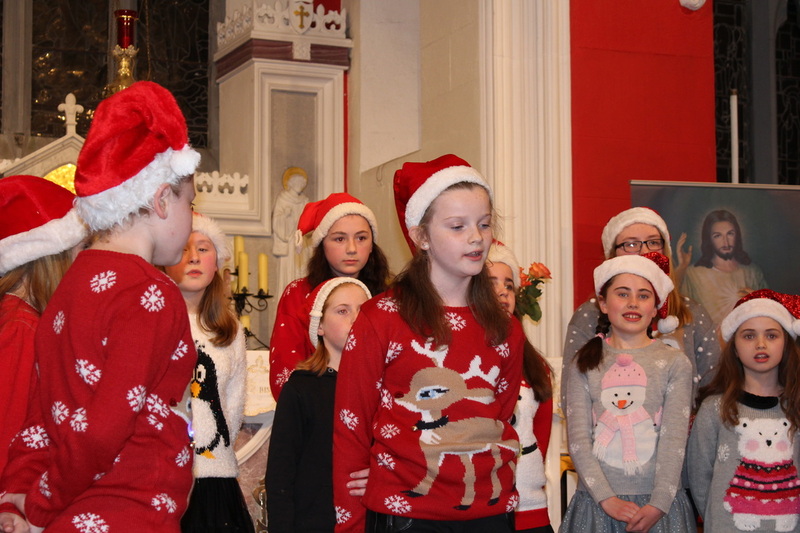 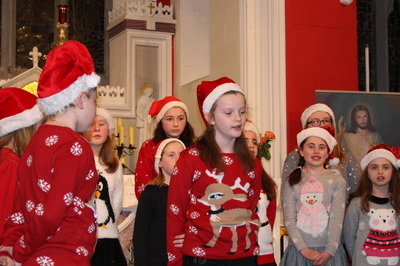 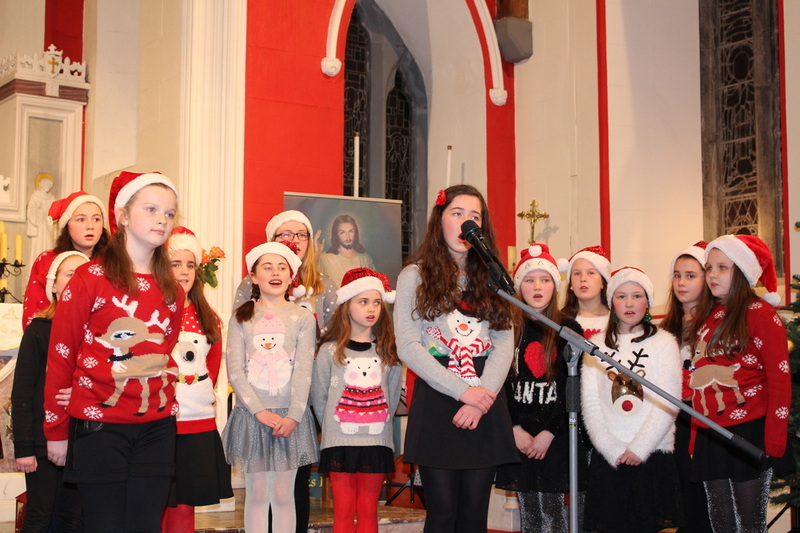 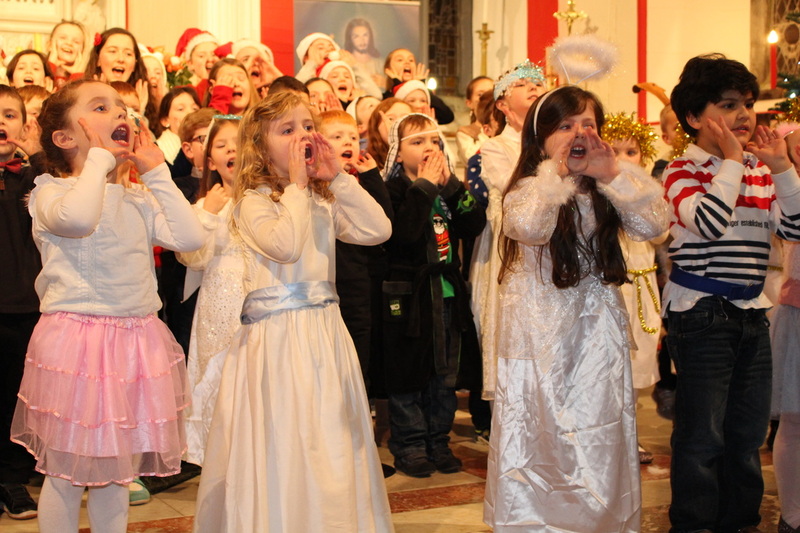 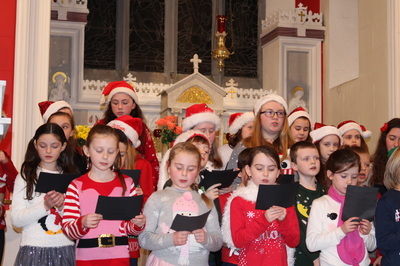 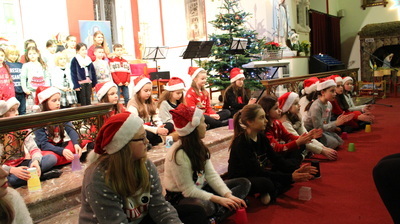 A big thank you goes to the girls from 2nd - 6th who were the choir and sang so beautifully on the day. 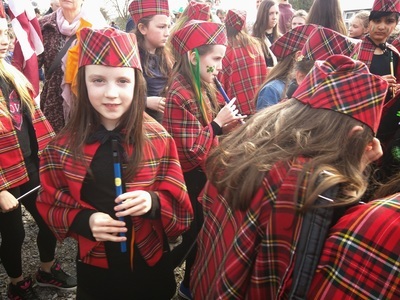 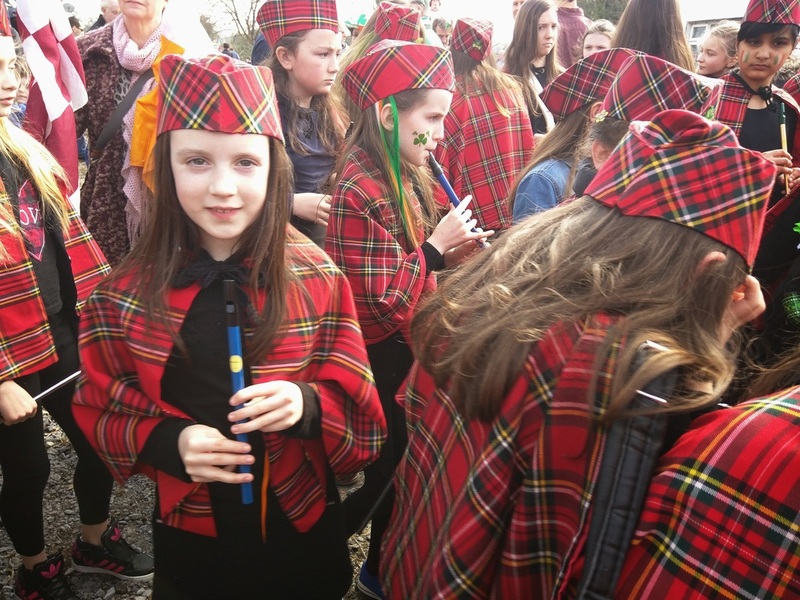 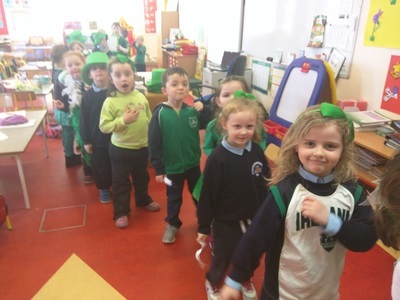 The 15th March 2016 was Proclamation Day for schools all over Ireland. 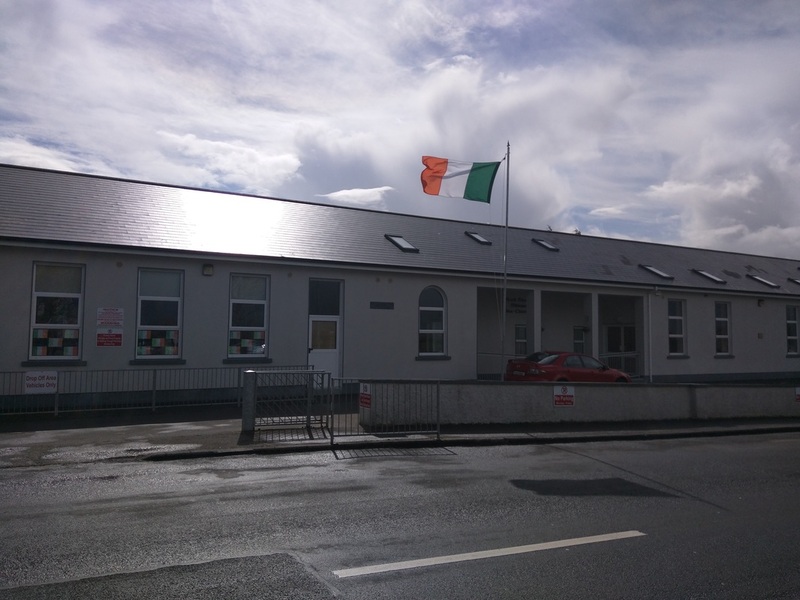 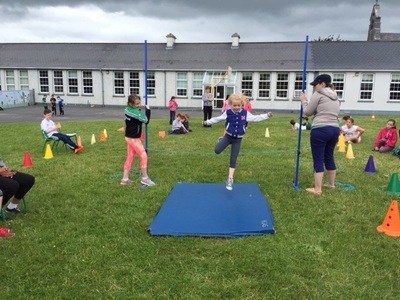 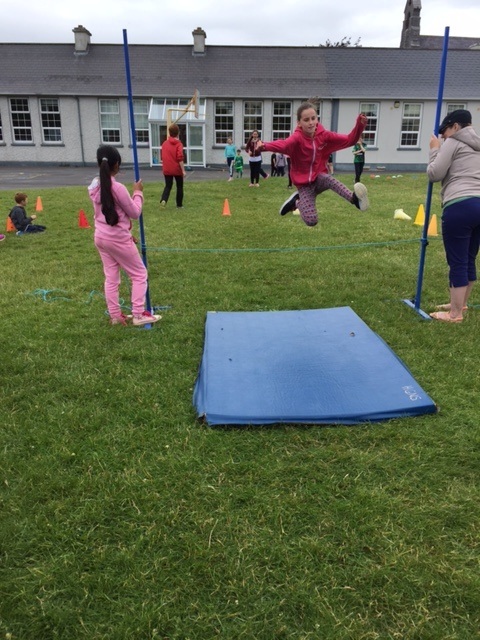 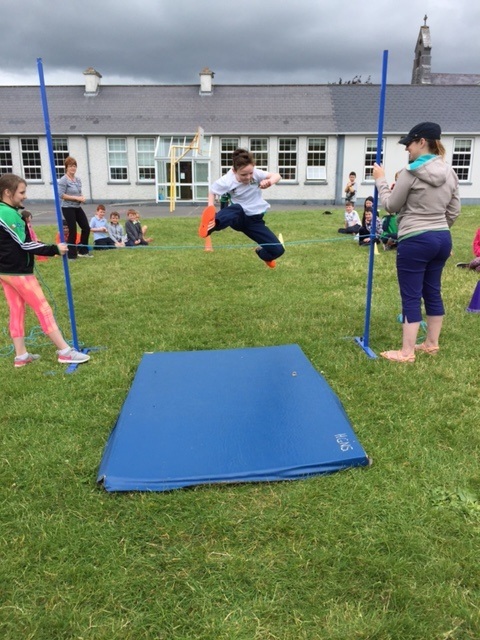 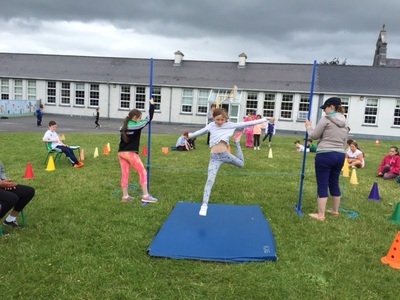 We raised the Irish tricolour on our school flagpole. This flag was presented to us on the 9th October 2015 by the Defence Forces. 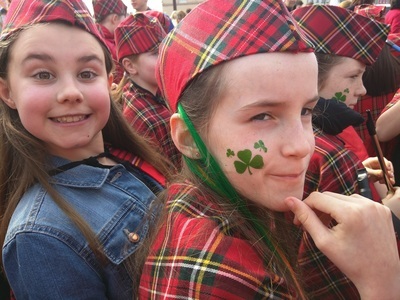 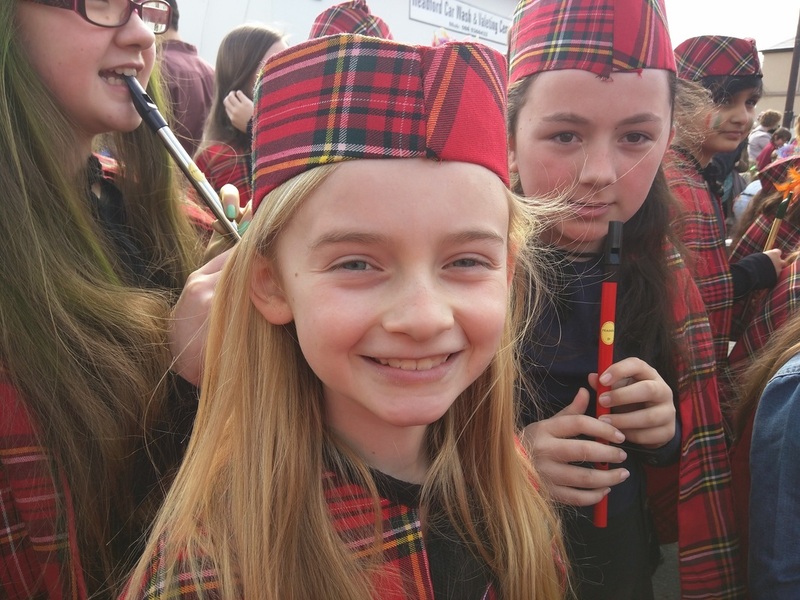 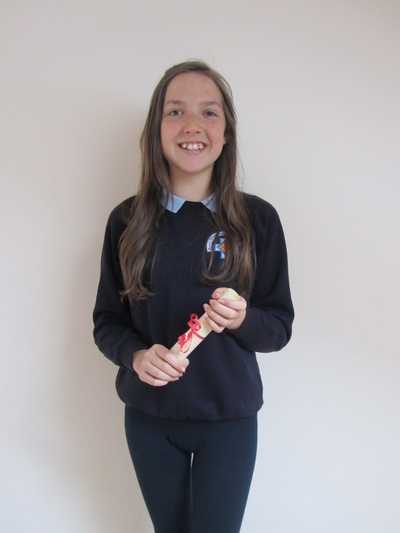 Katie and Tilly accepted it on behalf of all the pupils, as the oldest and youngest children in our school, and the senior classes played and sang the national anthem. 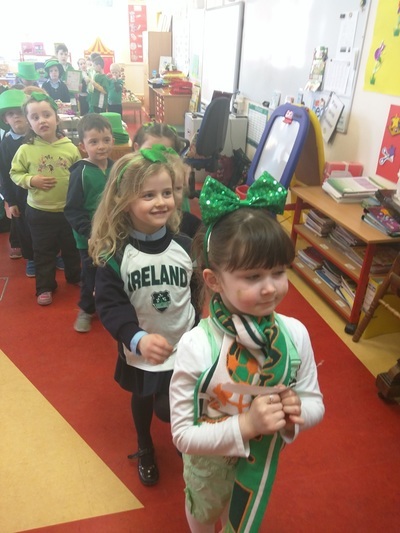 To begin our celebration, everyone dressed in green, carried a flag or waved a banner. 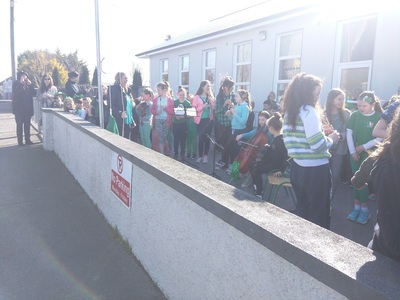 The senior classes played Amhrán na bhFiann as we raised the flag outside. 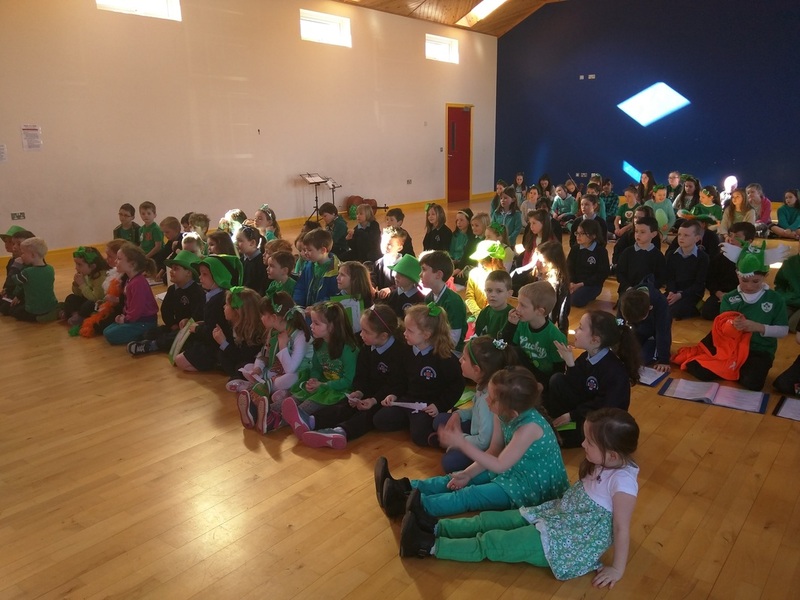 We moved into the hall next, and every class had a presentation for the school. 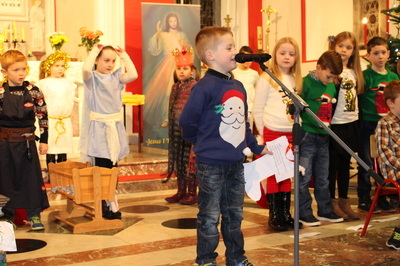 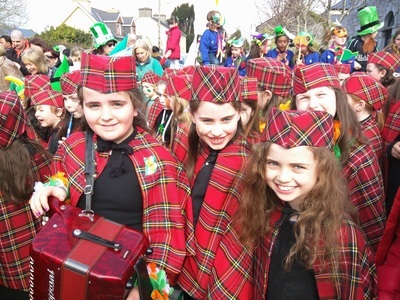 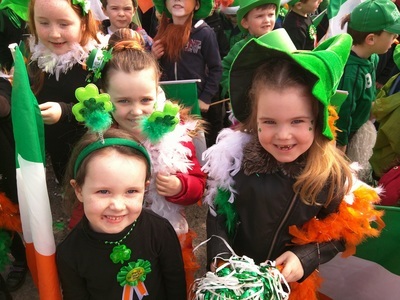 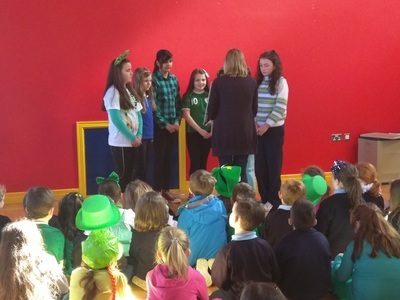 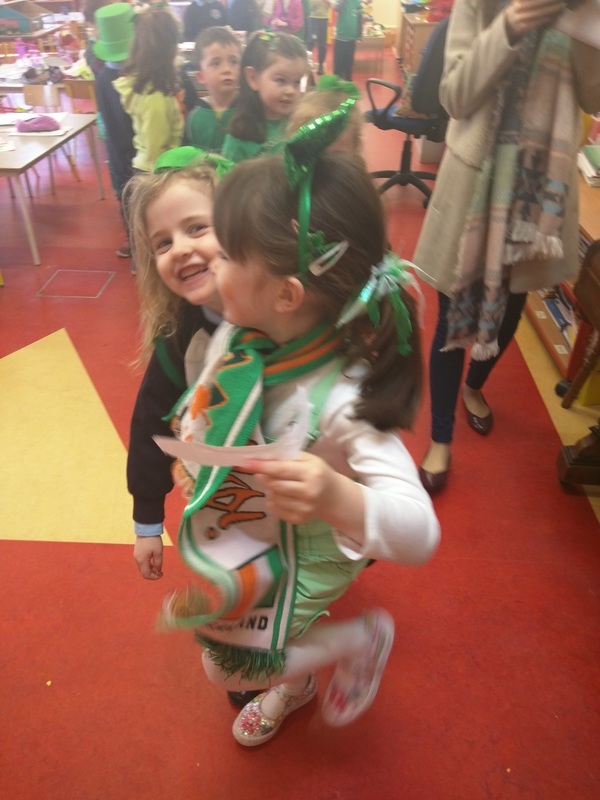 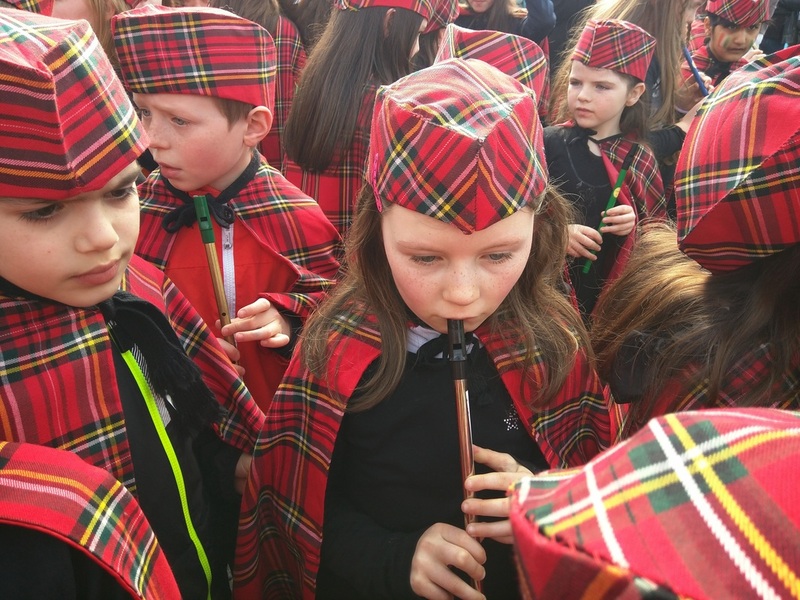 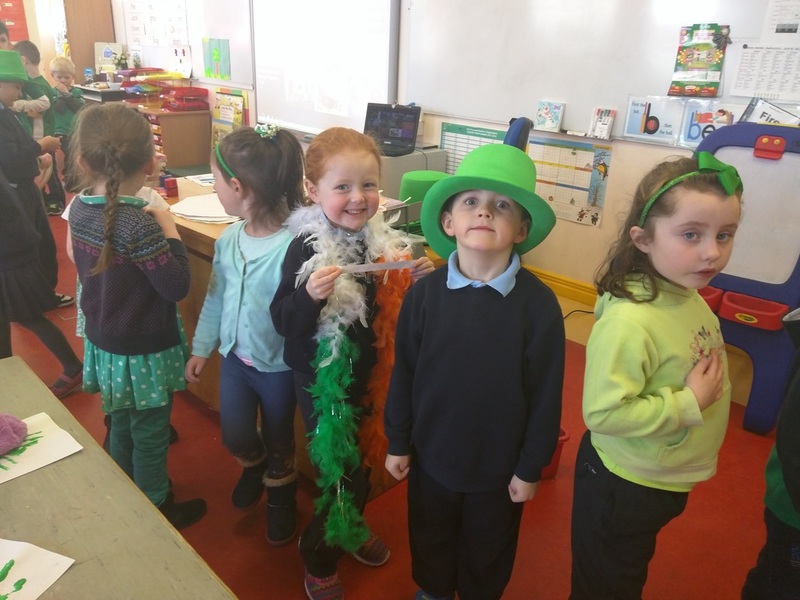 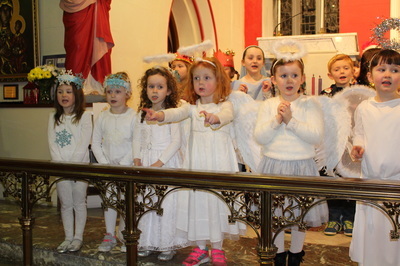 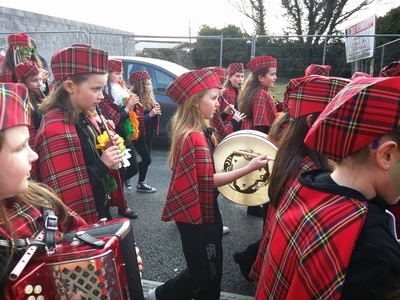 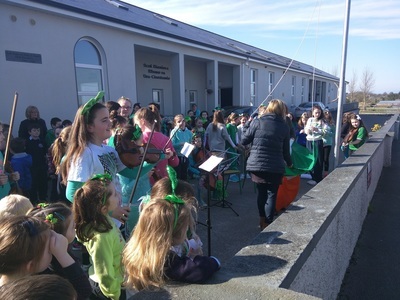 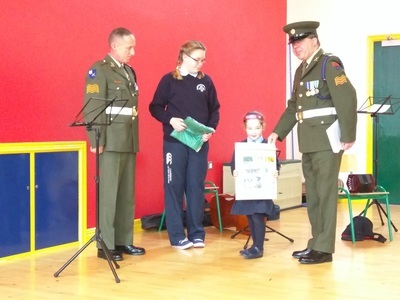 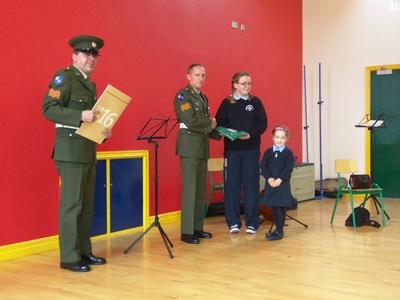 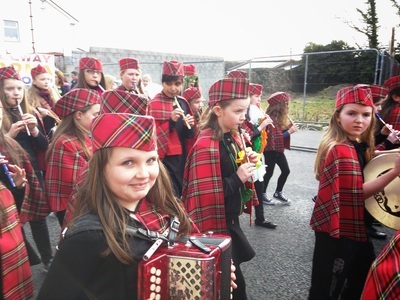 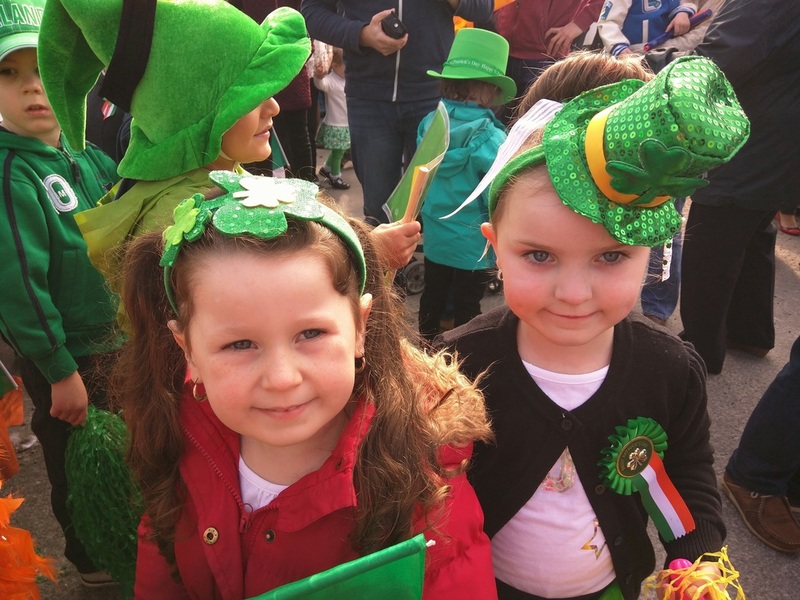 The Infants performed the meaning of the word "Ireland" in chorus, Seniors and 1st read the history of the Easter Rising in 1916, 2nd and 3rd sang, played and danced to traditional Irish tunes, and the senior girls read their Proclamation for a New Generation. 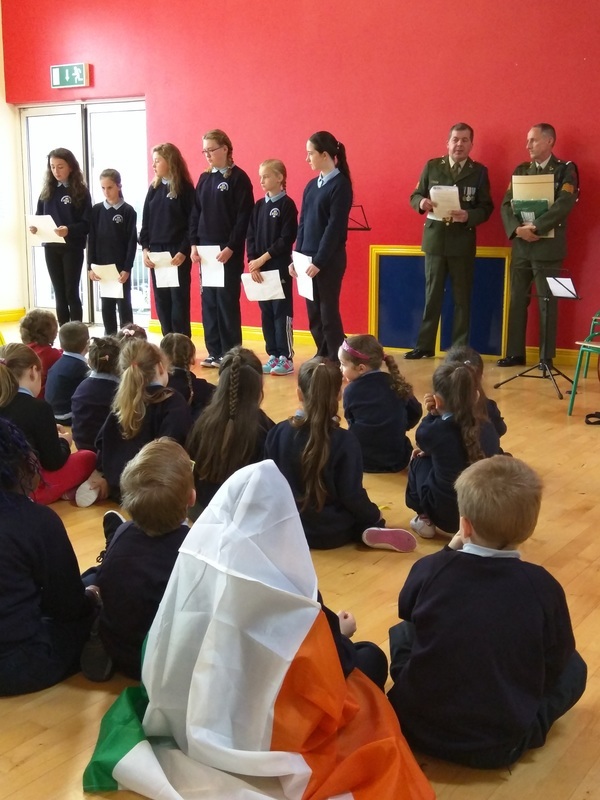 In our gallery you can see photos of the presentation of the flag in October and our events on Proclamation Day. 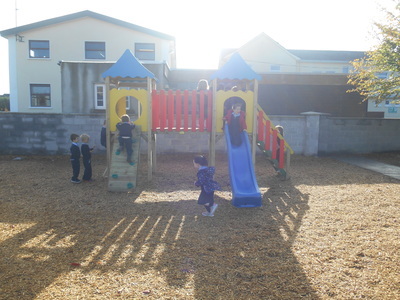 We also have a video montage on our YouTube channel. 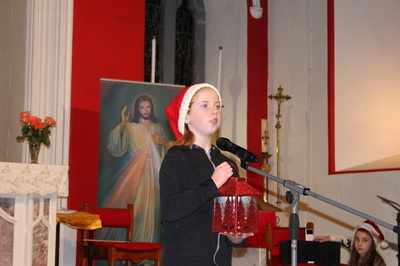 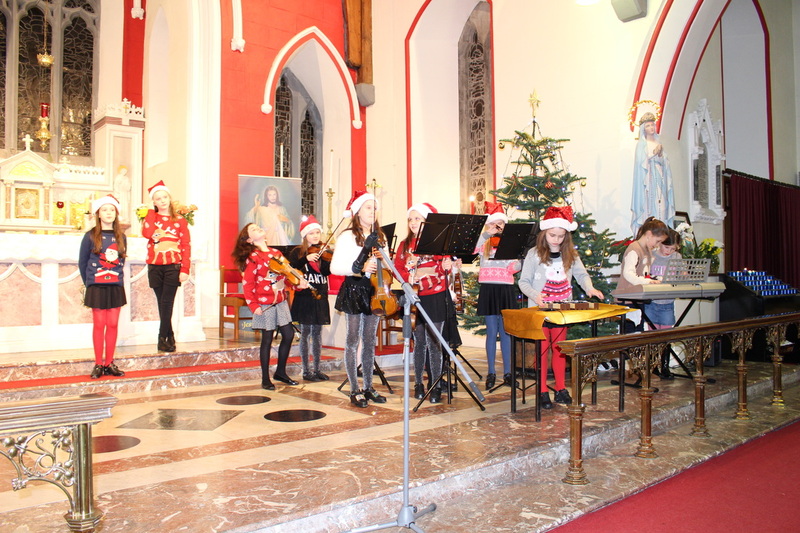 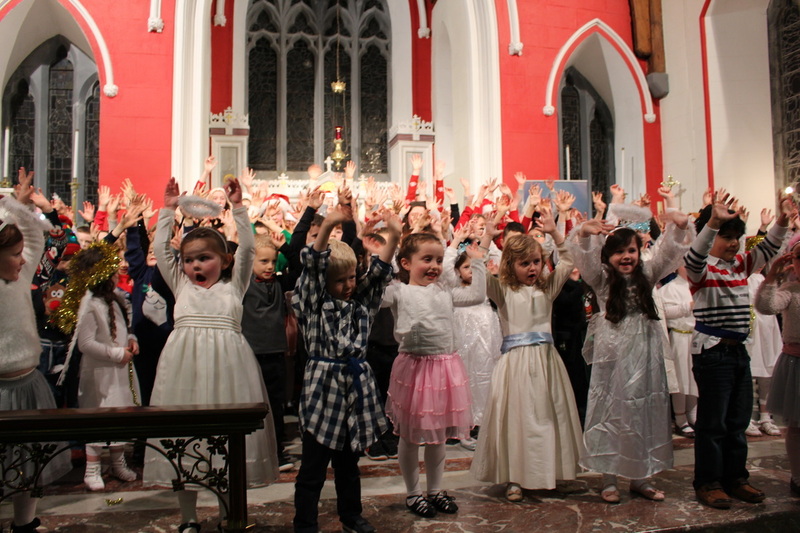 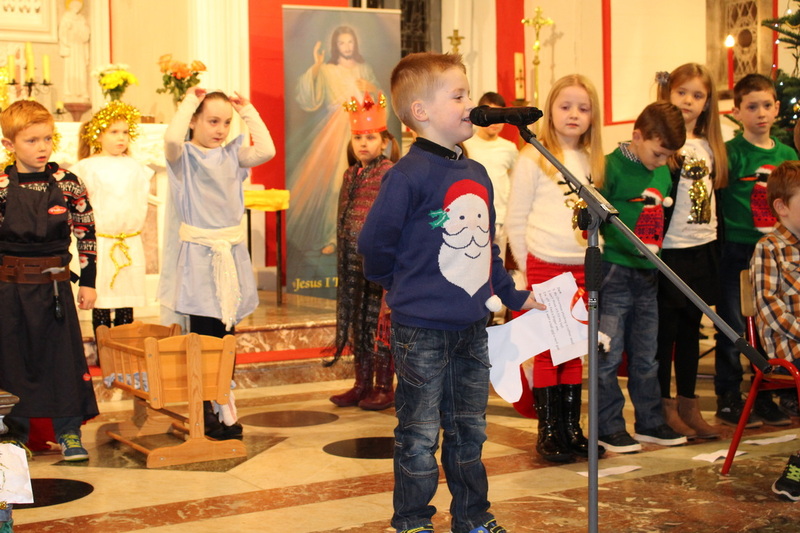 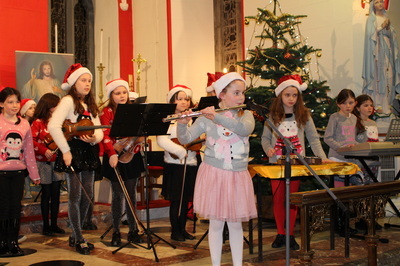 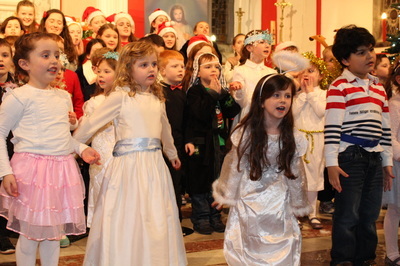 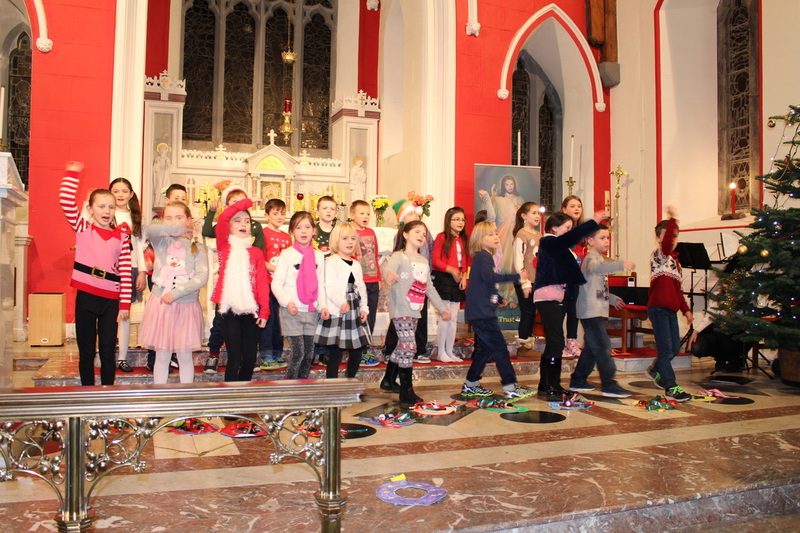 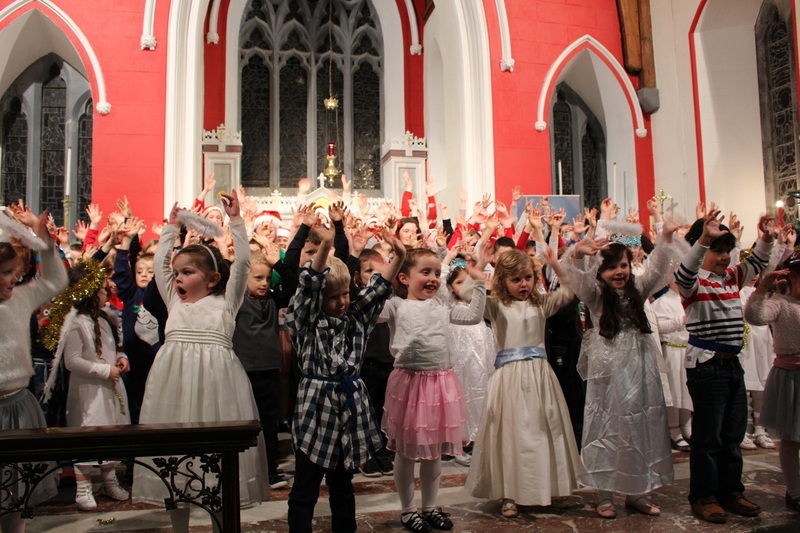 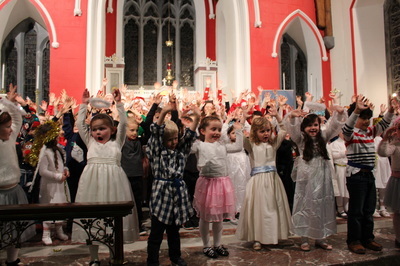 Thank you to all the children and parents who made our Christmas Concert so special. 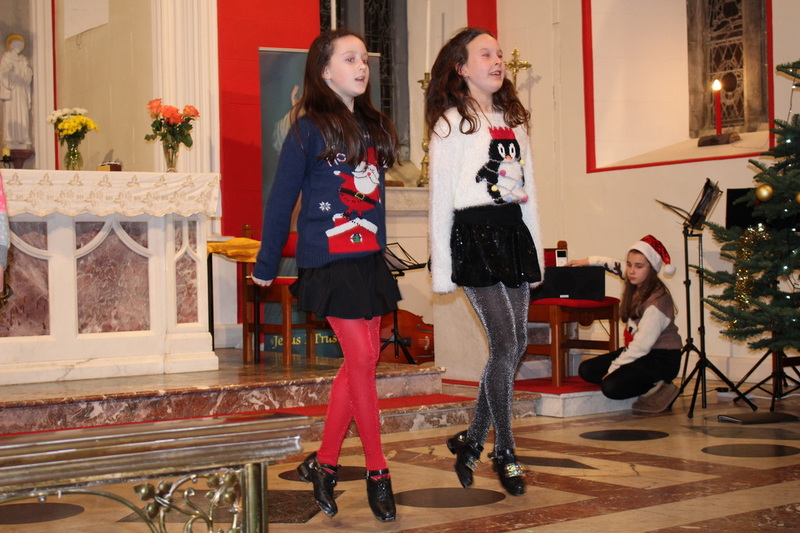 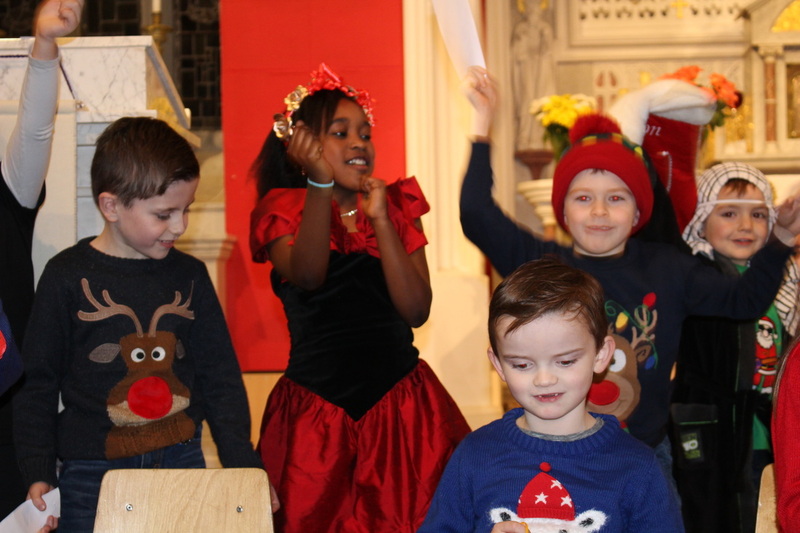 The pupils performed wonderfully, and the music, singing, dancing, acting and poetry reading really put us in the festive spirit! 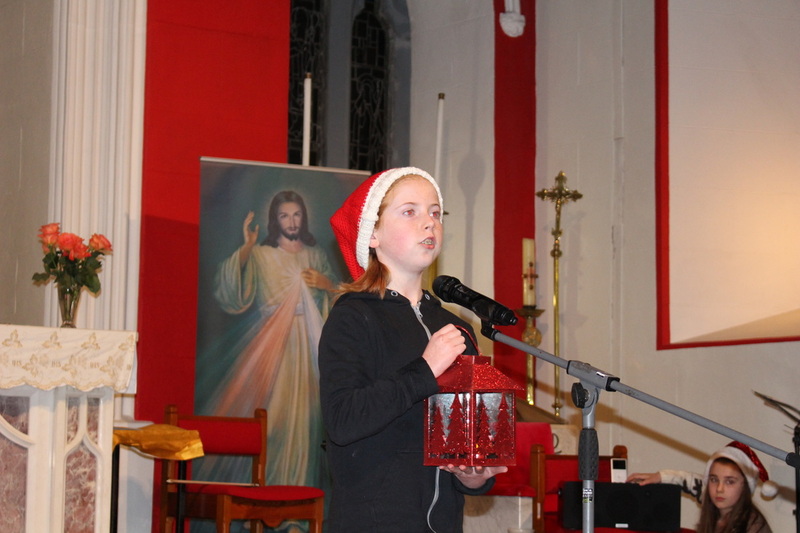 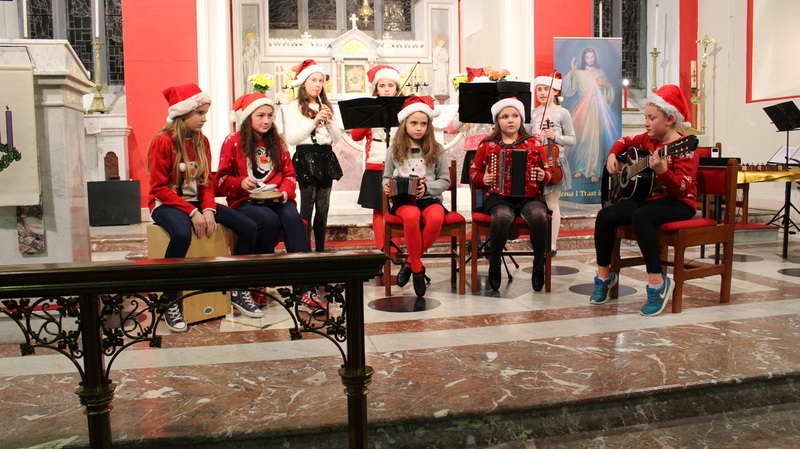 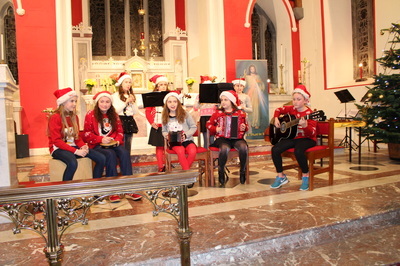 To see videos from our Christmas Concert, click here to go to our YouTube channel. 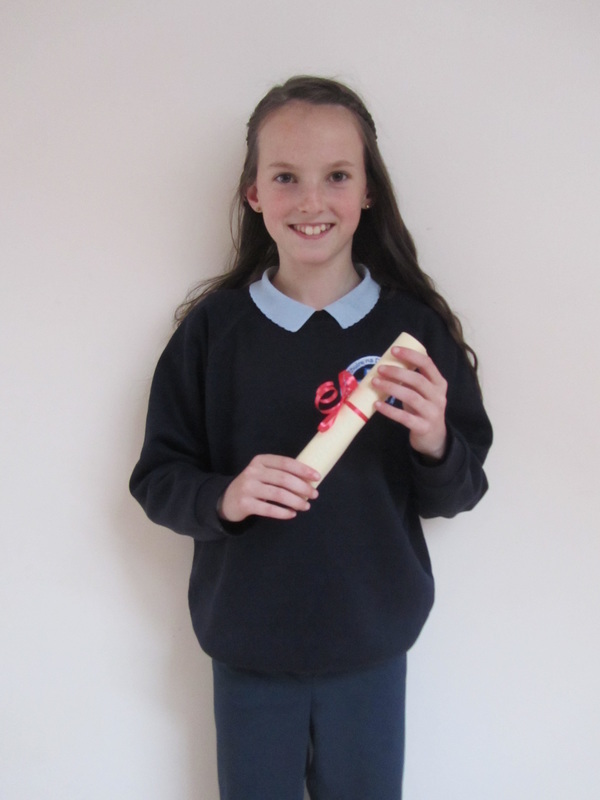 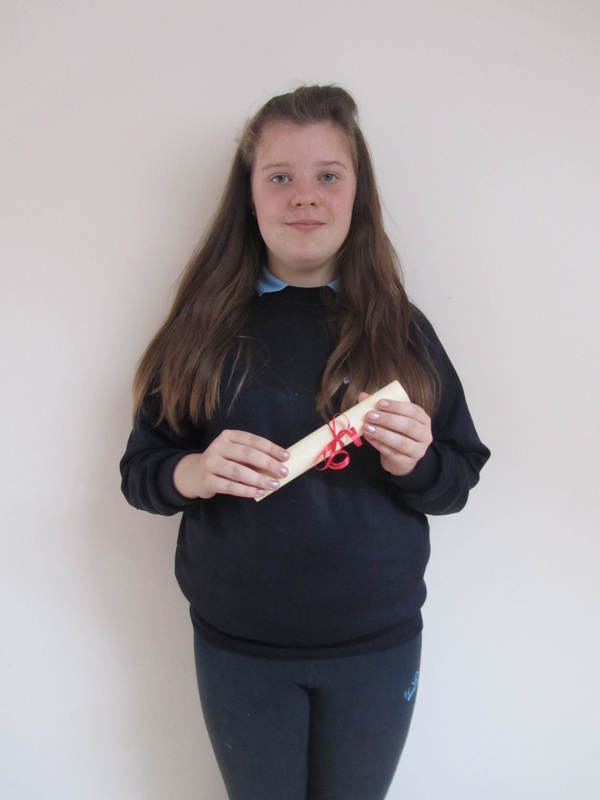 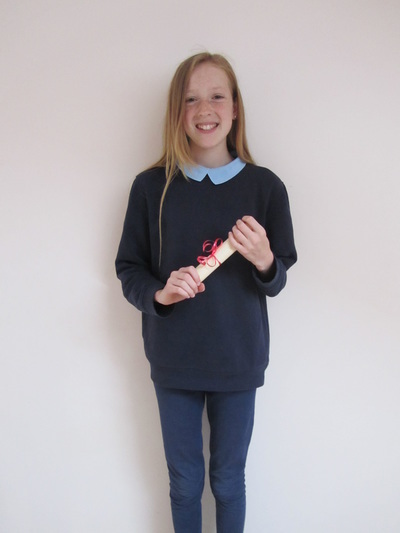 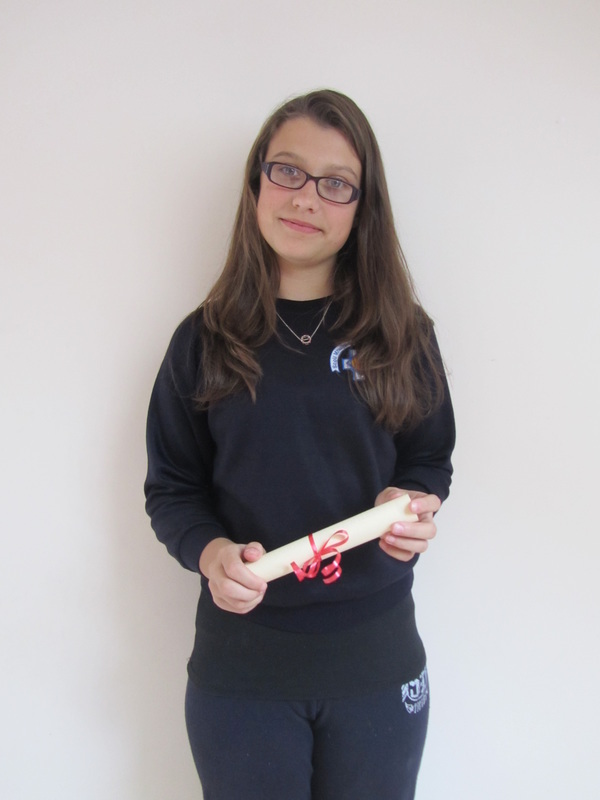 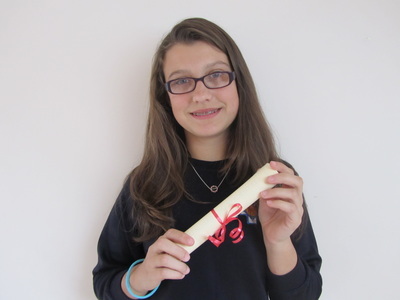 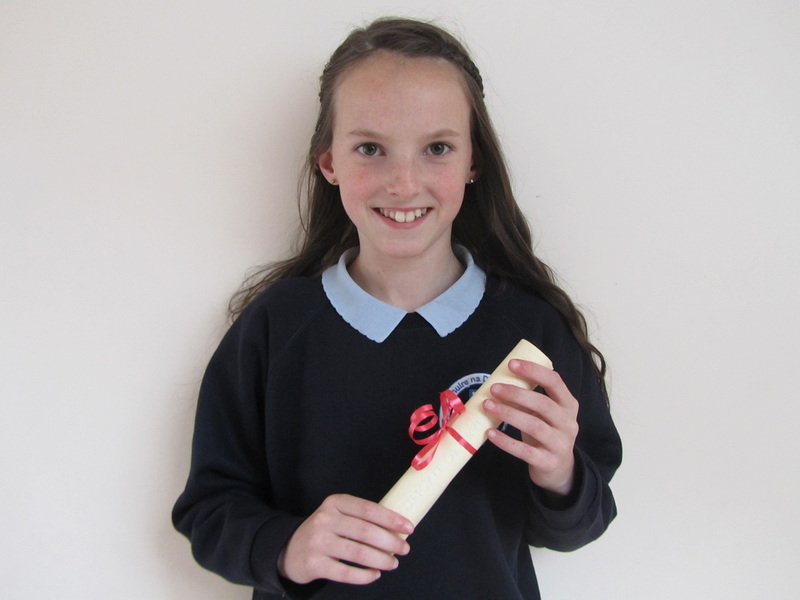 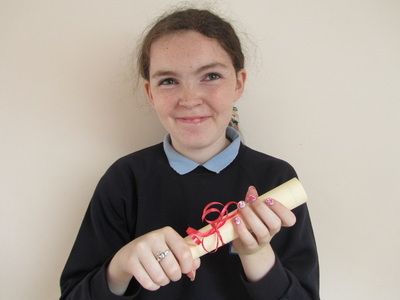 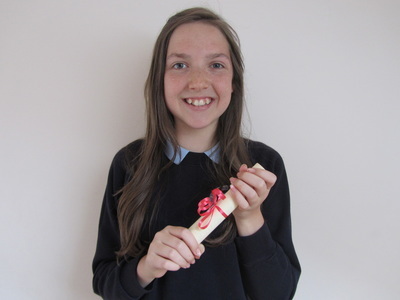 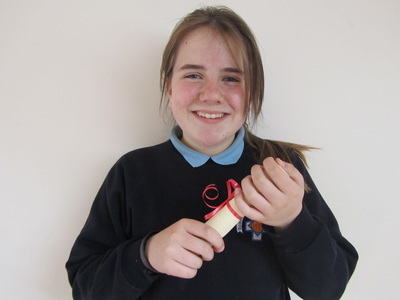 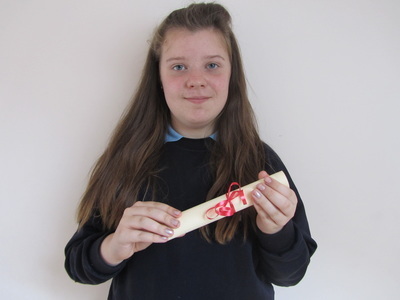 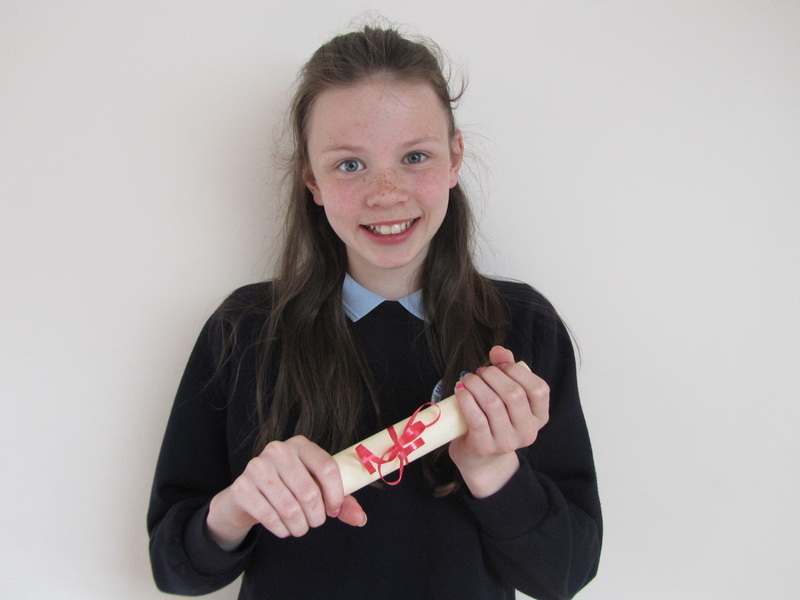 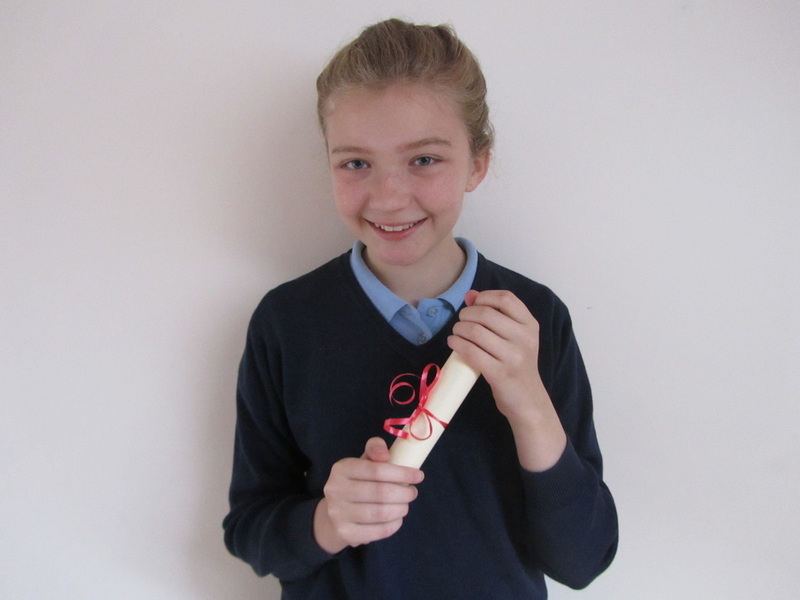 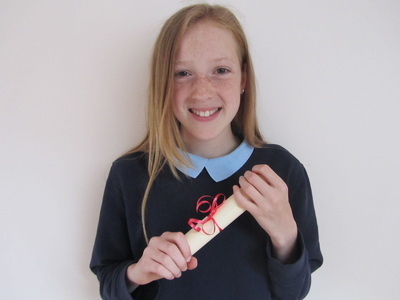 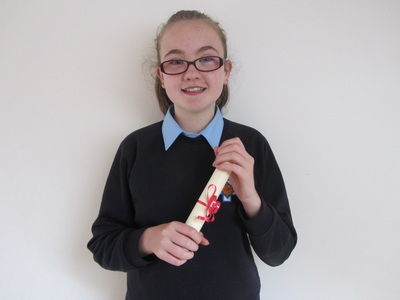 Here are our 6th class girls 2015 receiving their graduation certificates! Well done girls, and best wishes for the future! 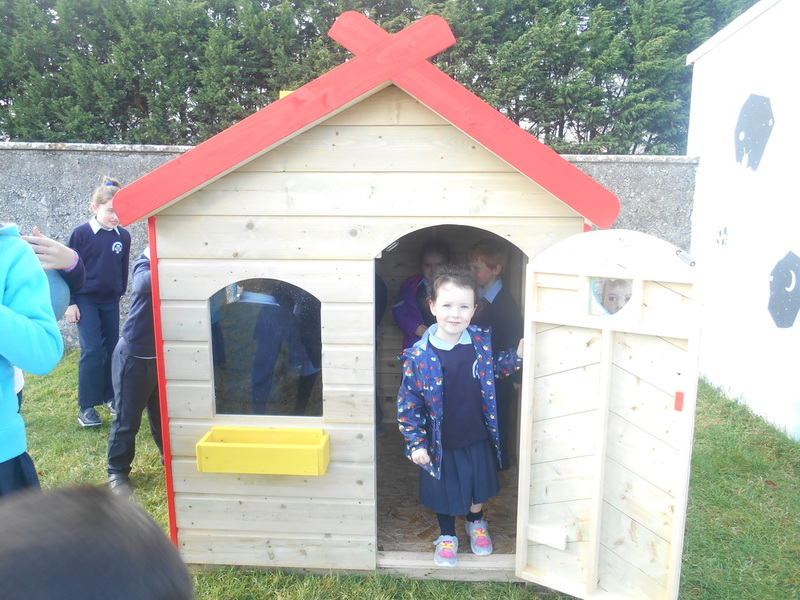 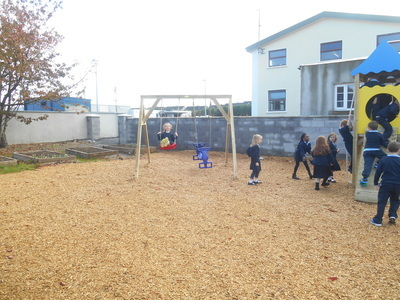 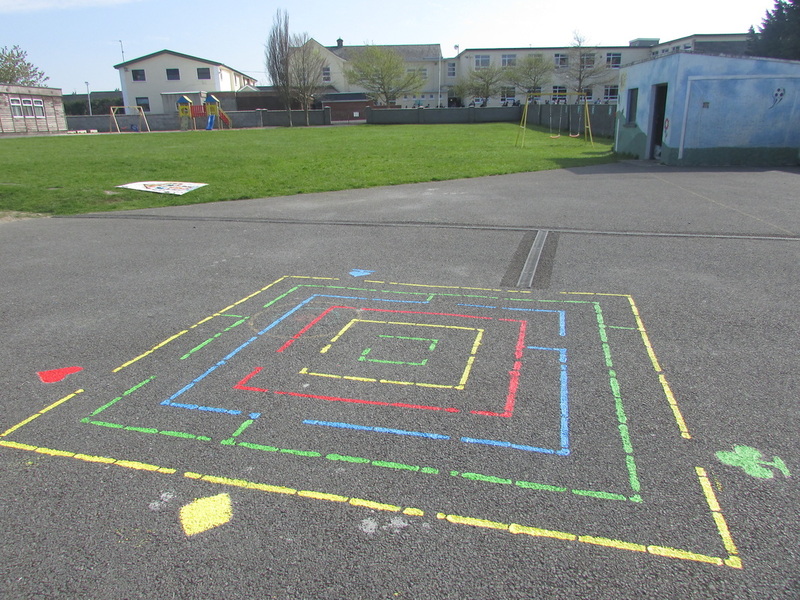 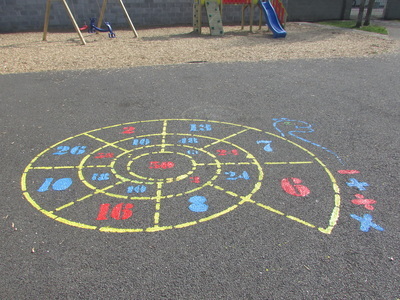 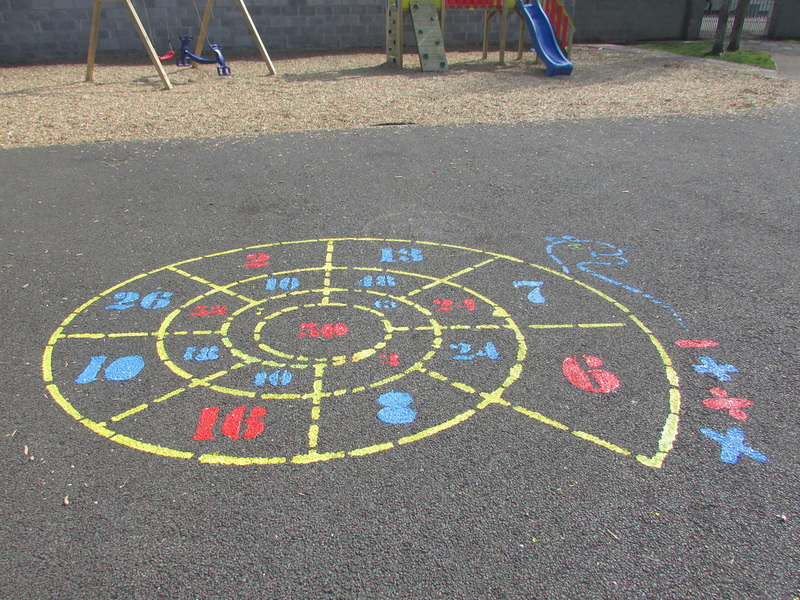 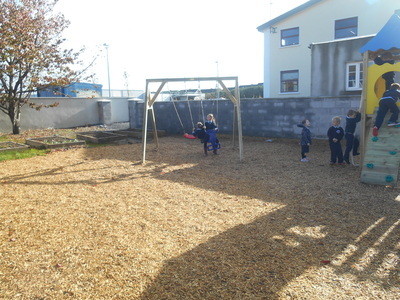 As well as having a swingset and play area, our school also has an outdoor playhouse for the junior classes, sports and athletics equipment, and playground markings for inventing new games! 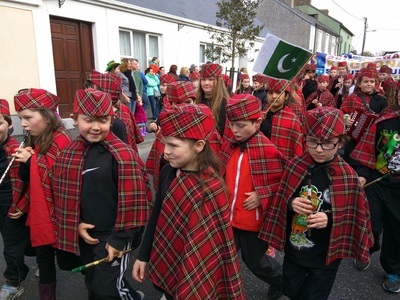 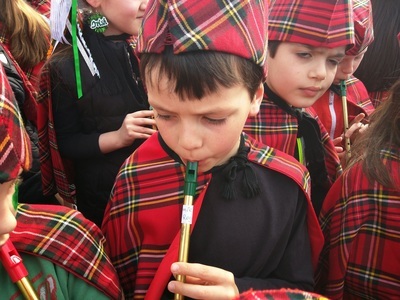 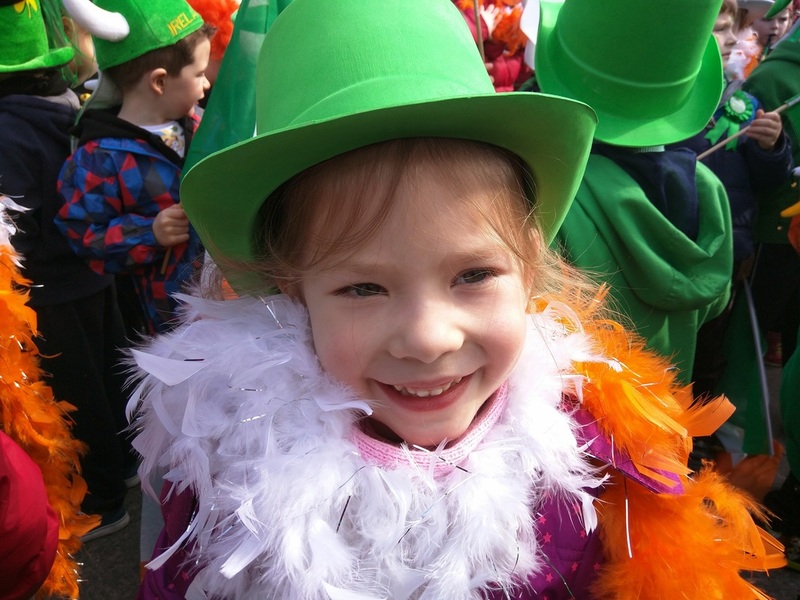 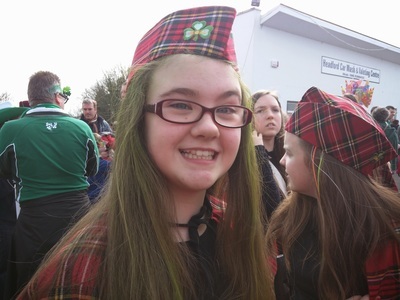 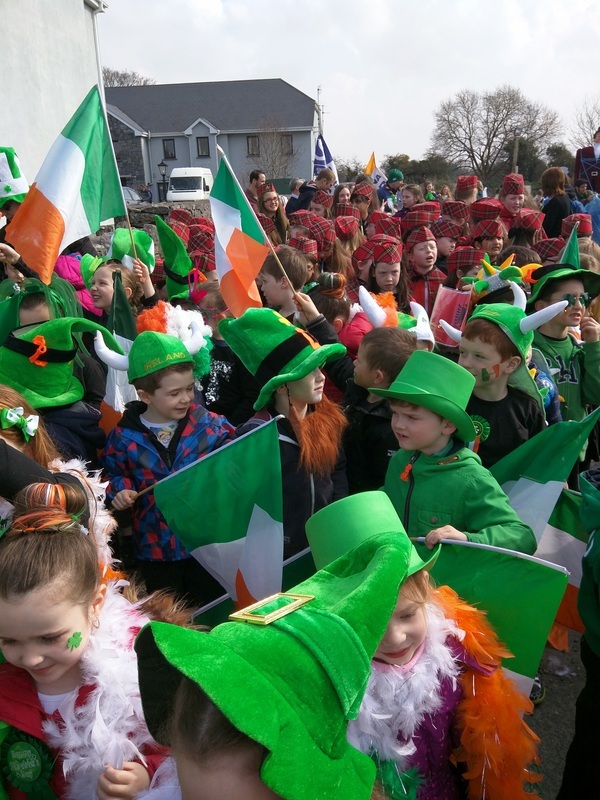 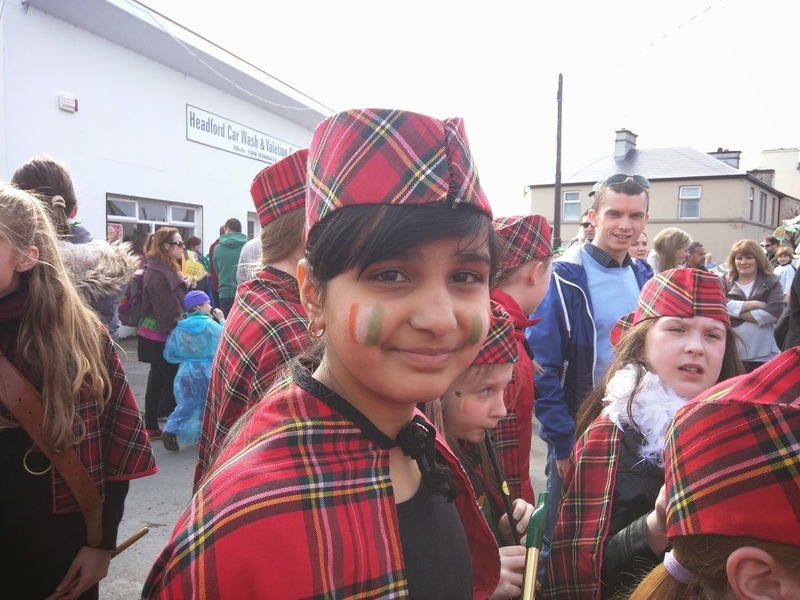 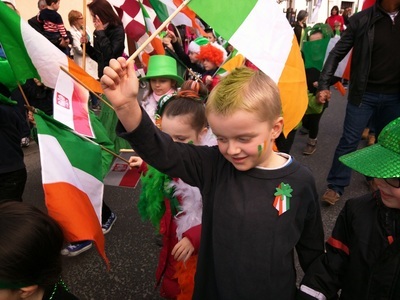 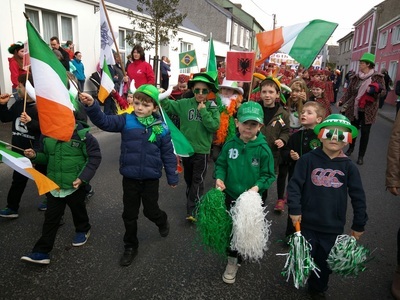 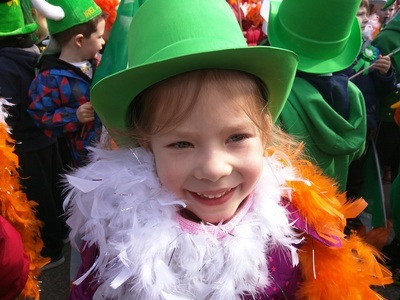 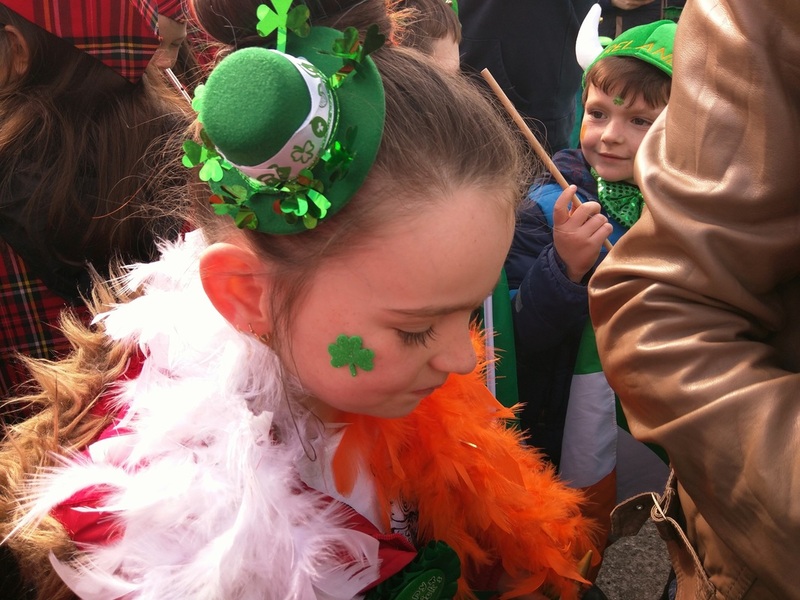 Well done to all the children and parents who took part in the St. Patrick's Day parade! The music was fantastic and the children looked brilliant in their band uniforms and green outfits!